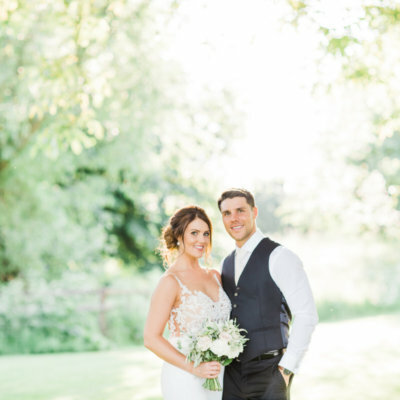 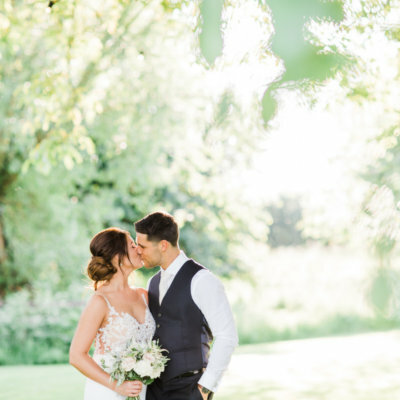 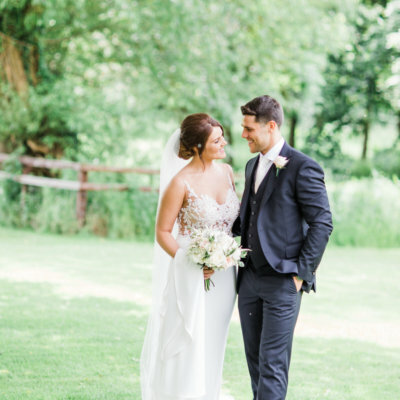 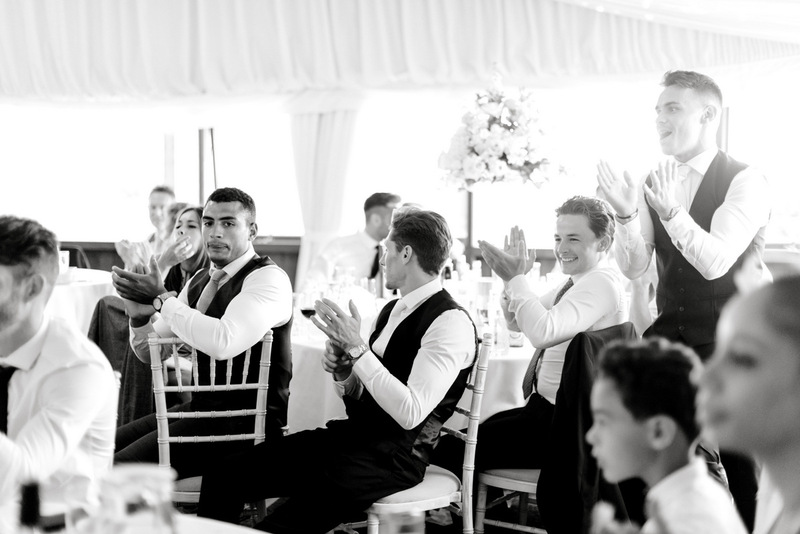 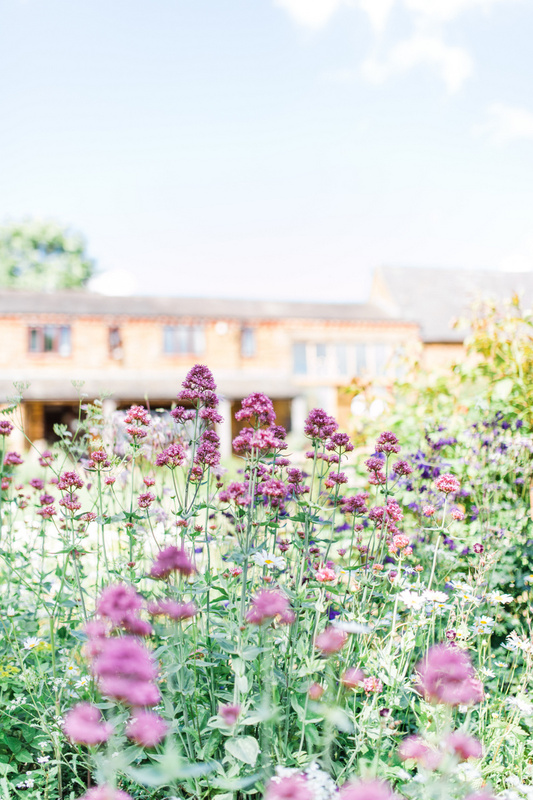 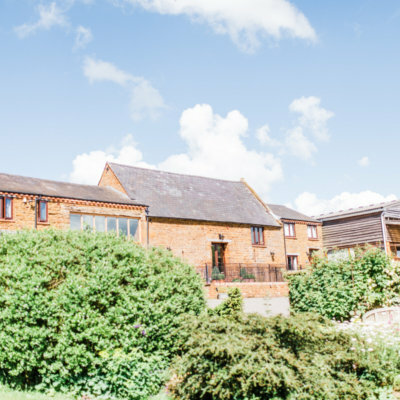 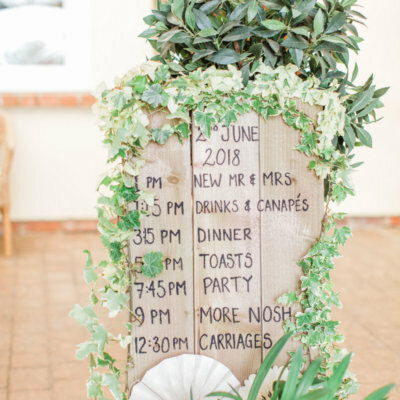 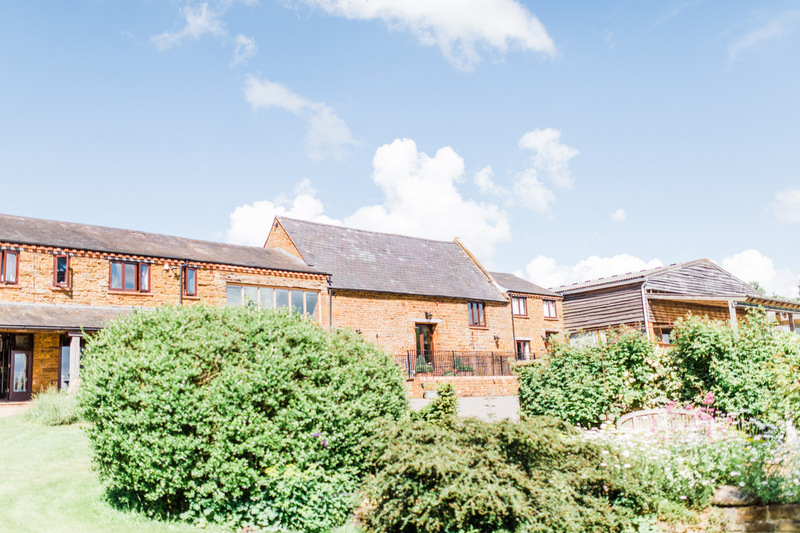 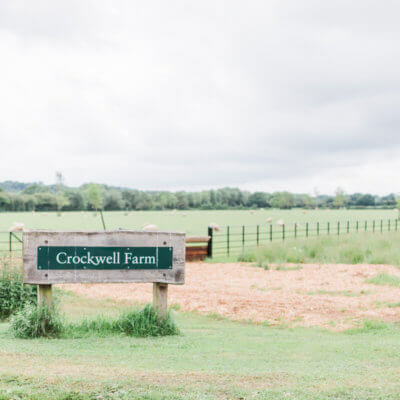 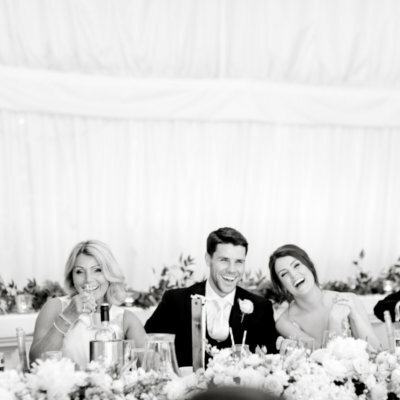 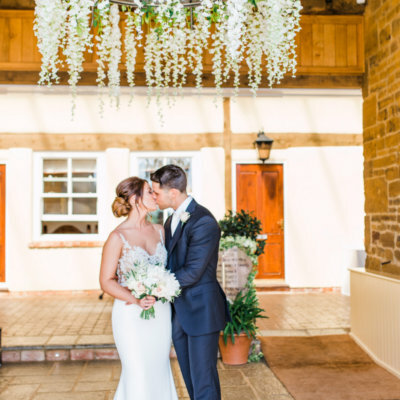 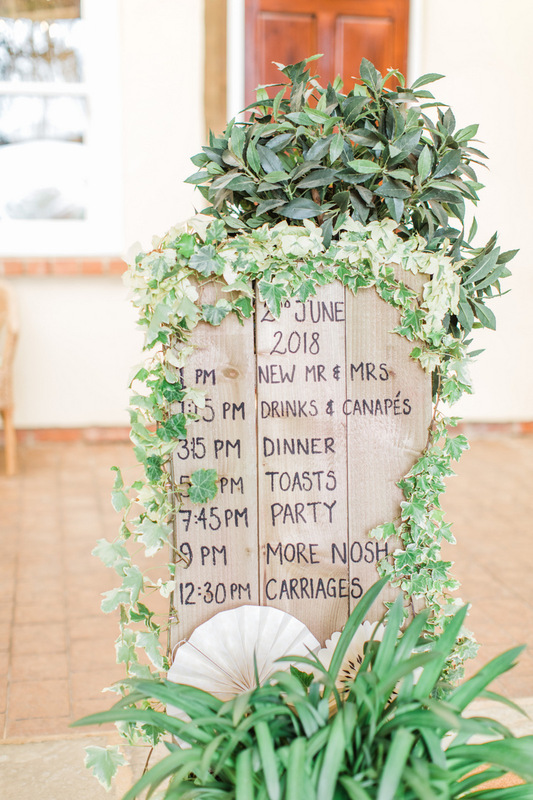 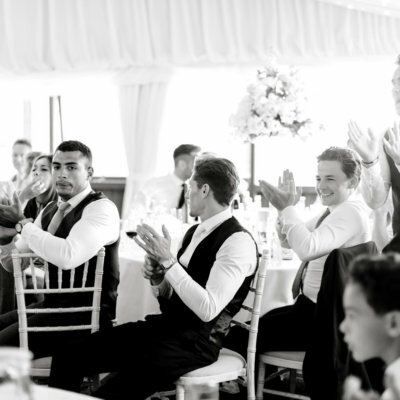 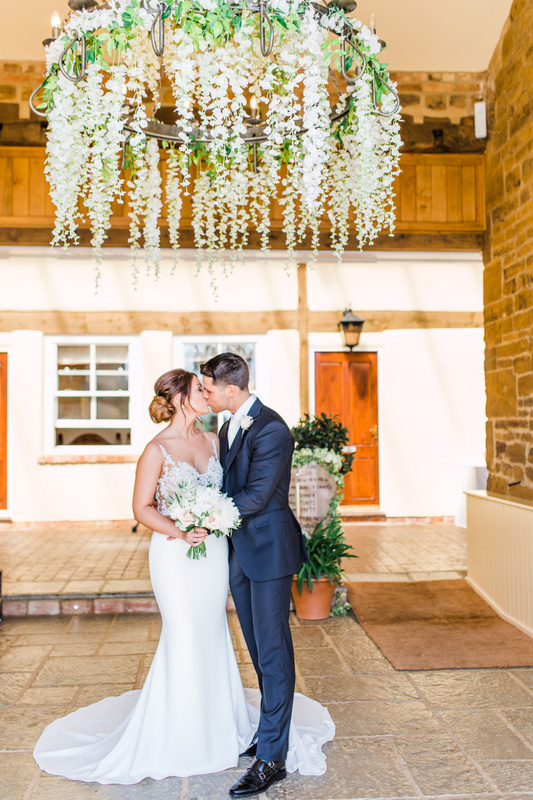 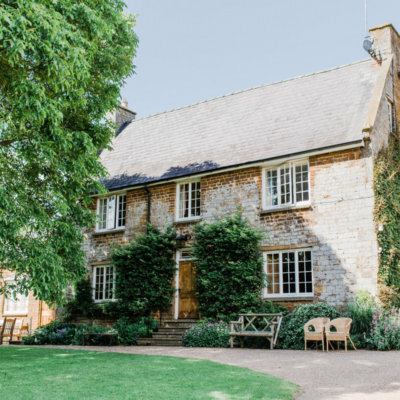 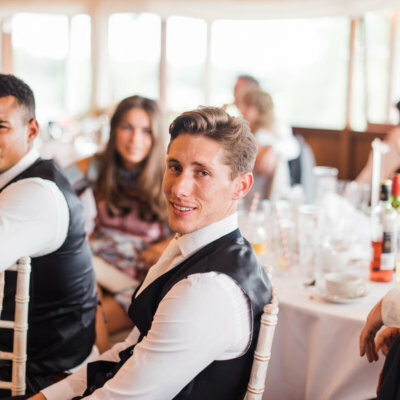 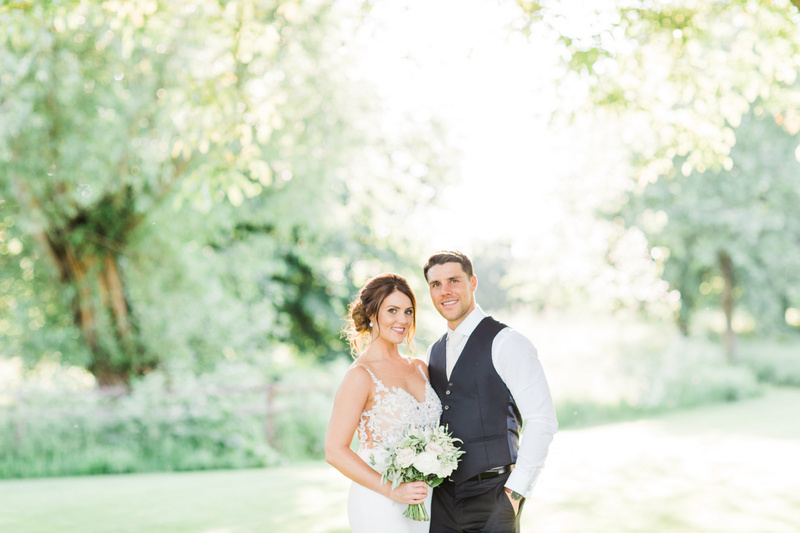 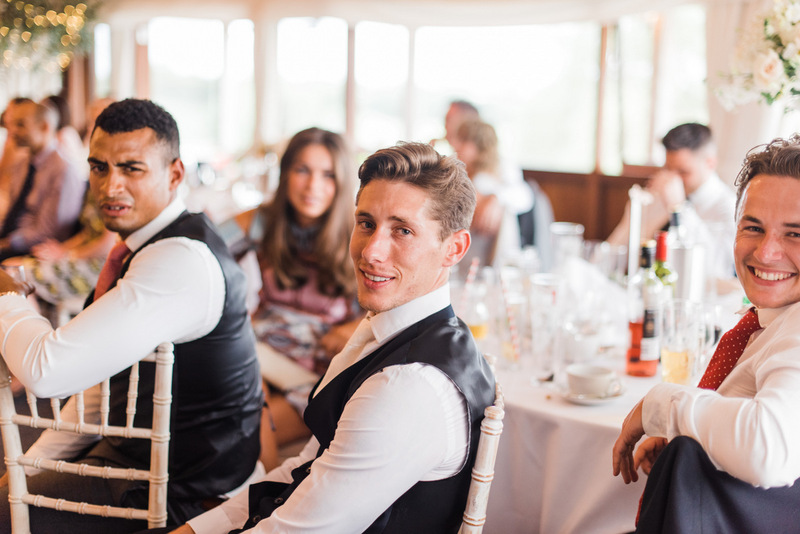 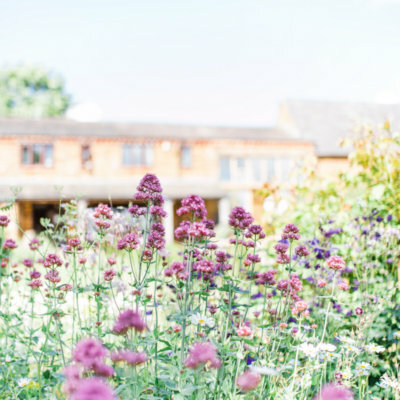 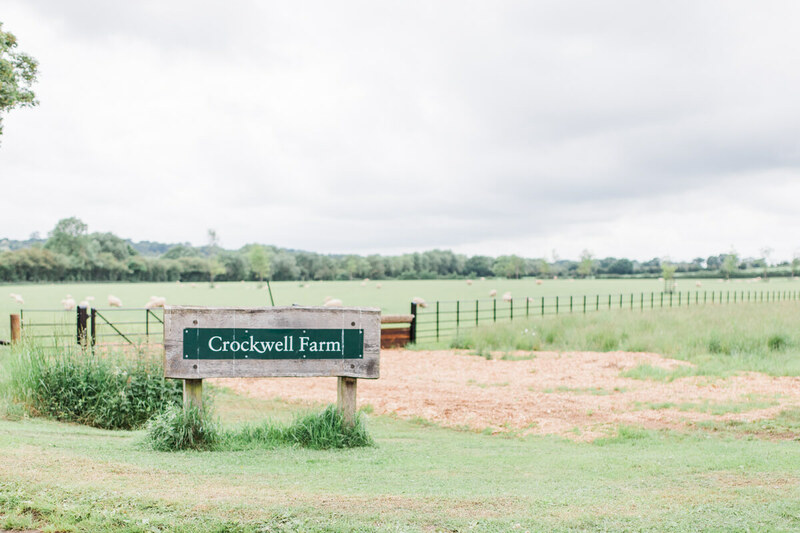 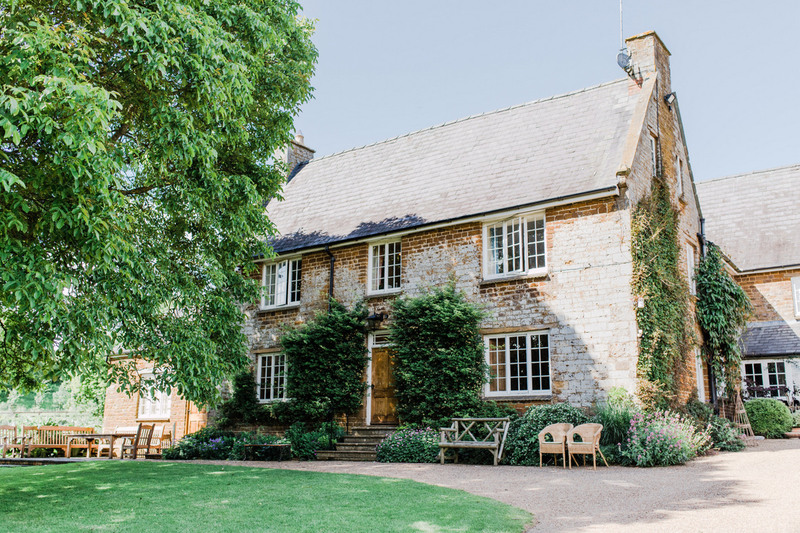 Beccy and Daniel began their special day with a traditional English breakfast in the farmhouse to fuel up for the big day. 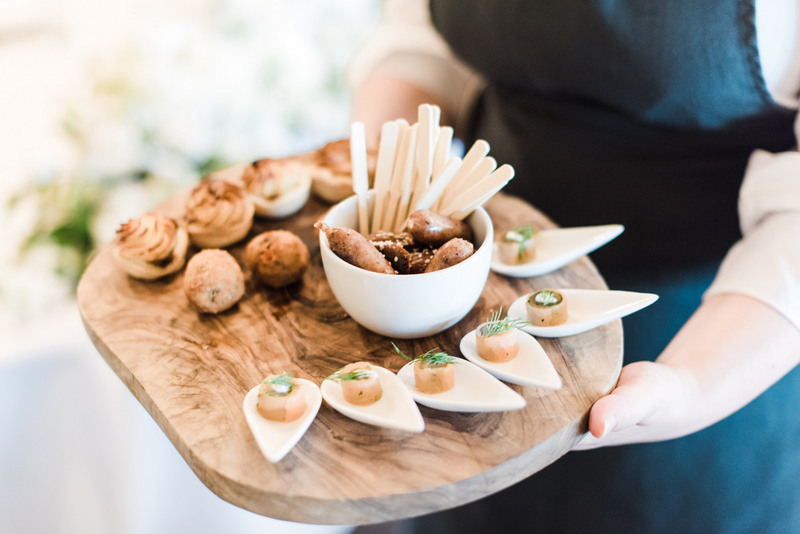 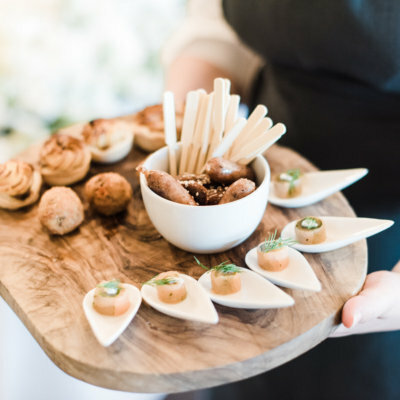 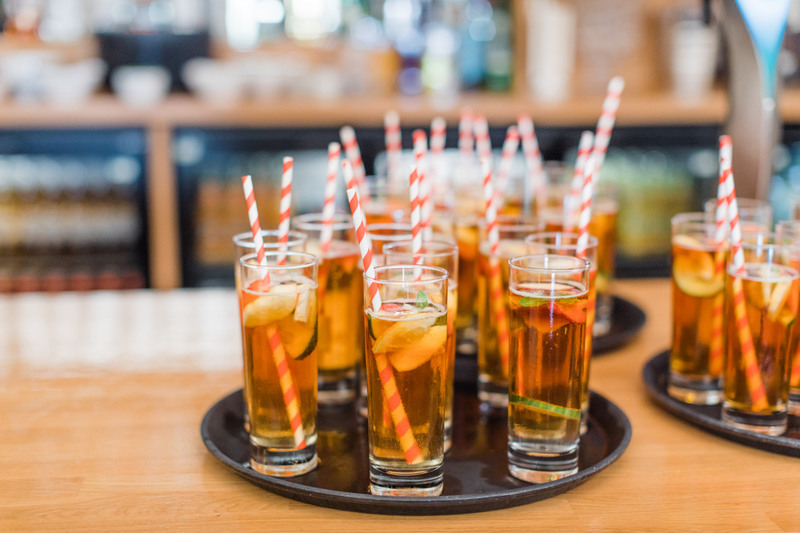 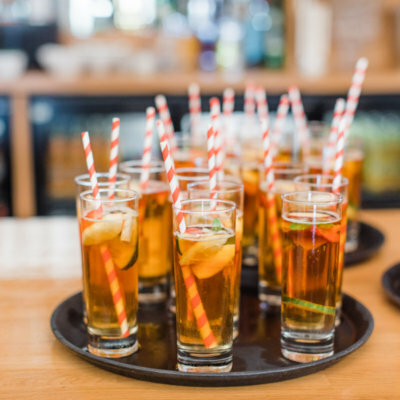 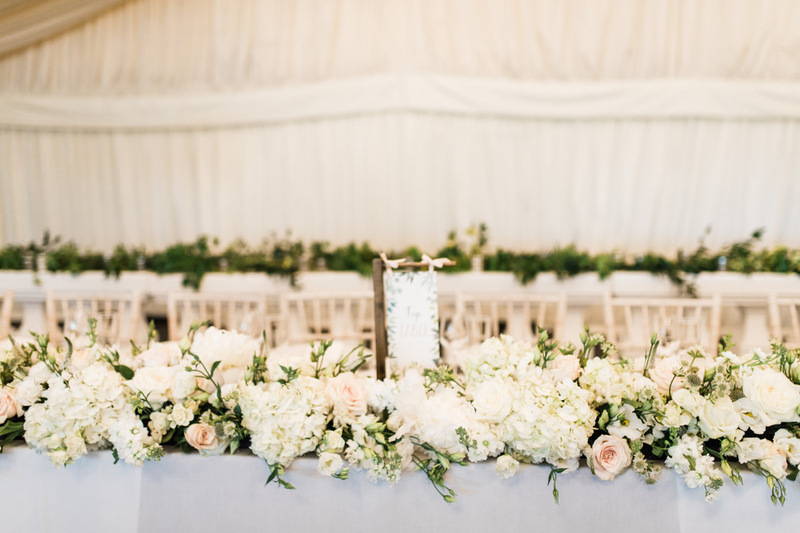 This was served in two sittings to ensure the bride & groom didn’t bump into each other on the wedding morning! 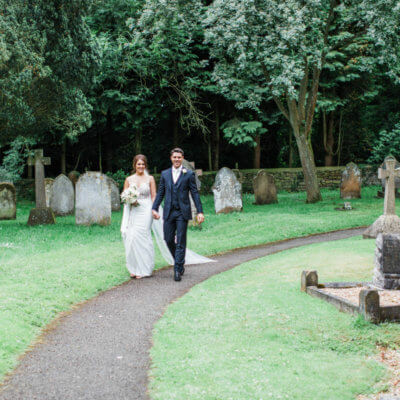 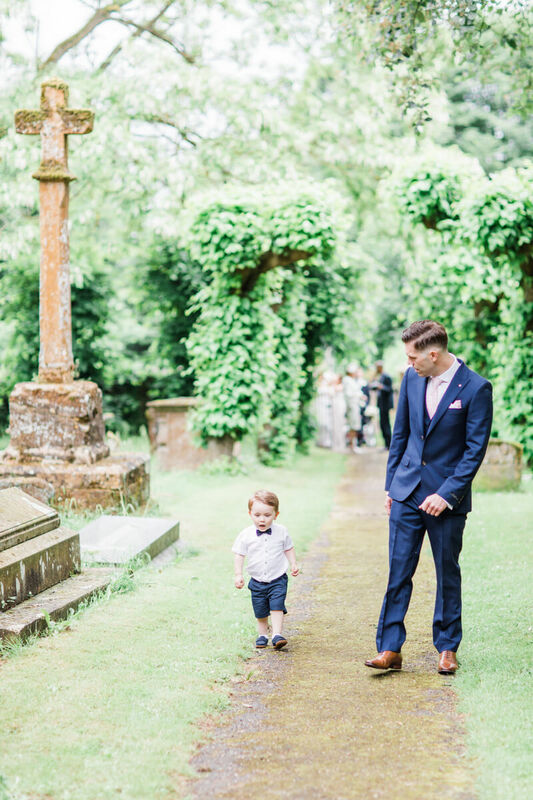 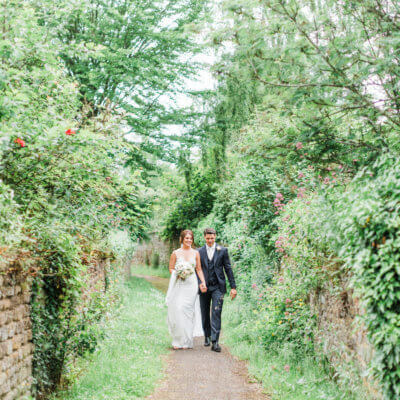 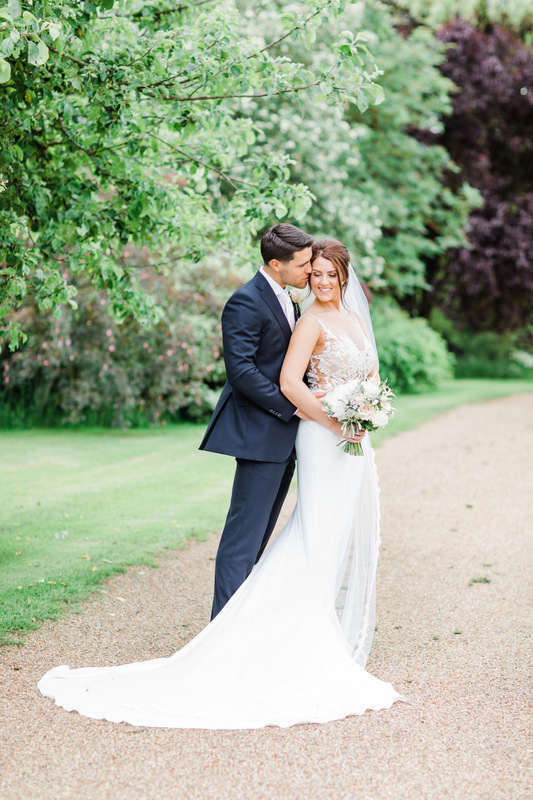 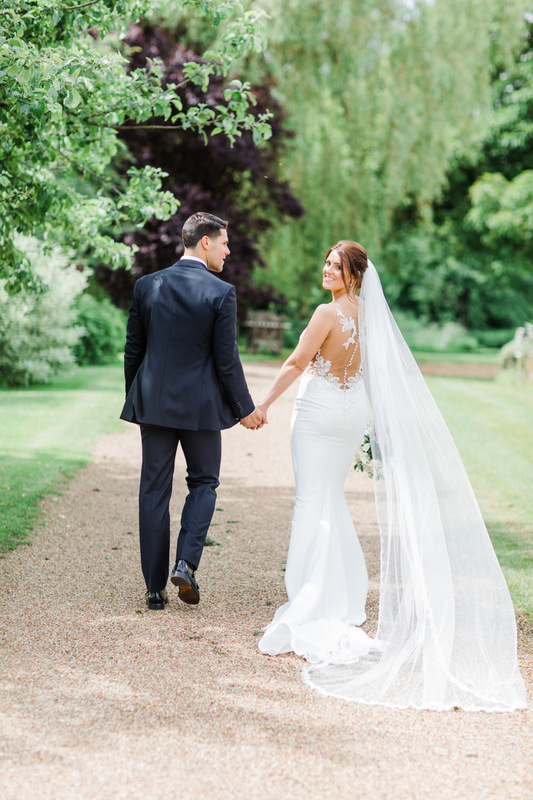 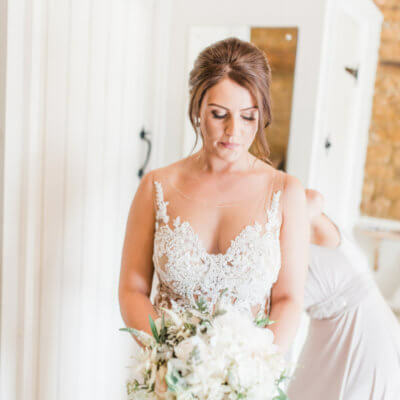 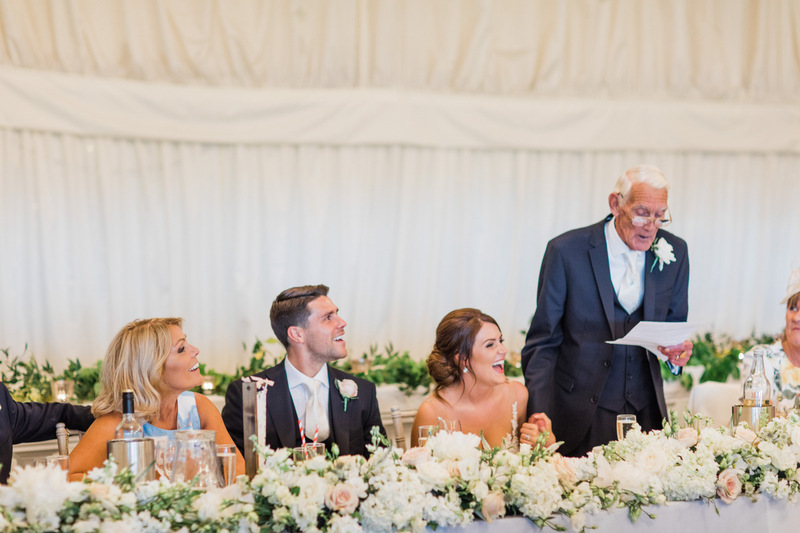 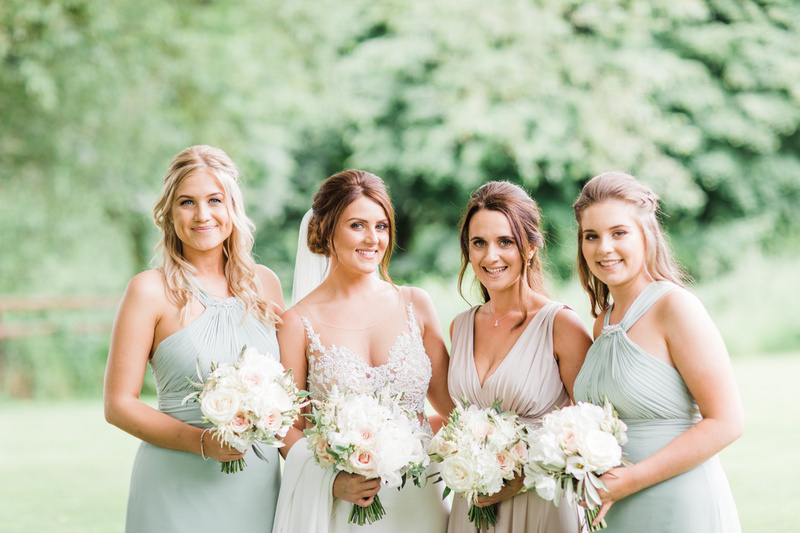 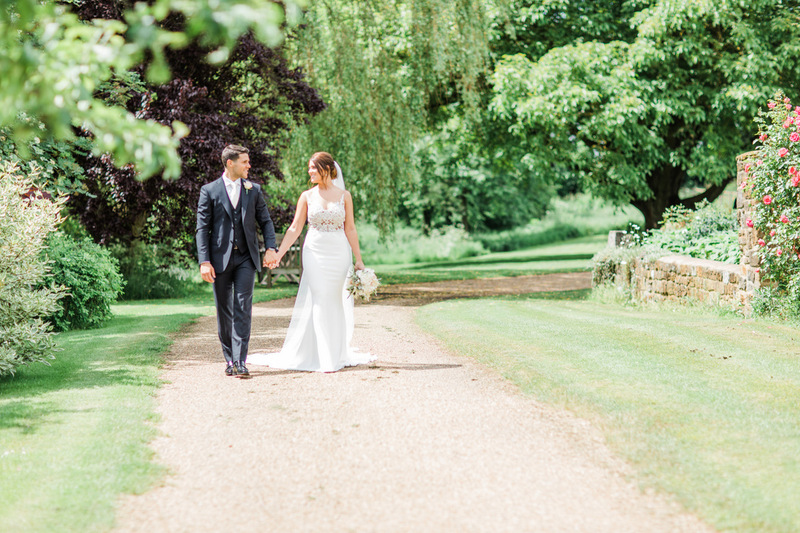 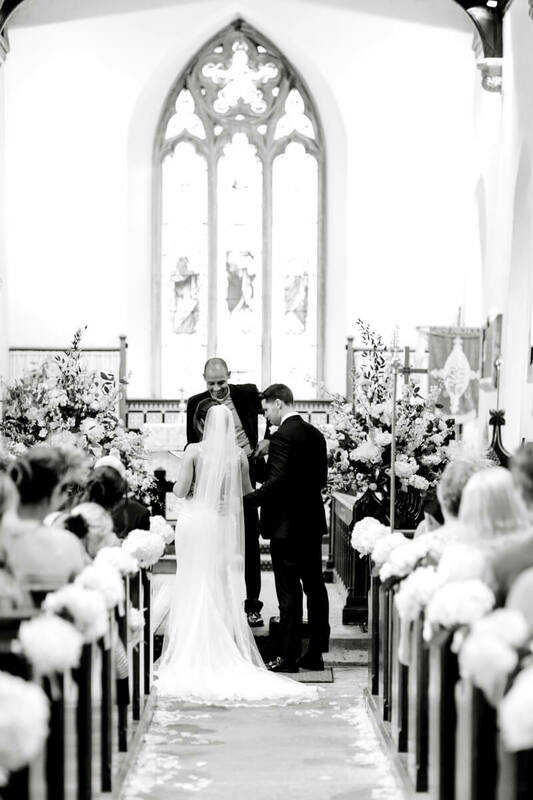 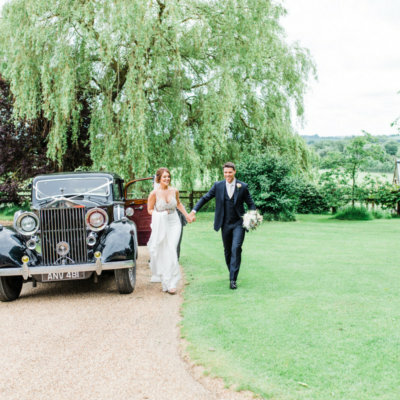 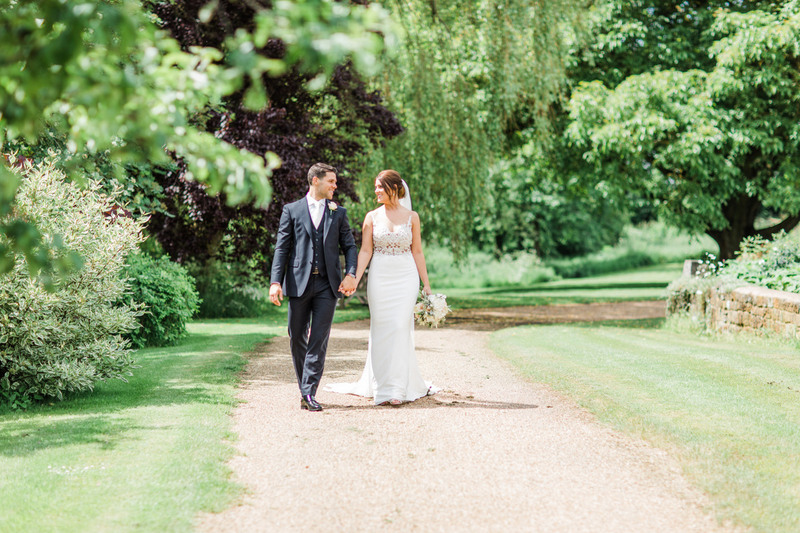 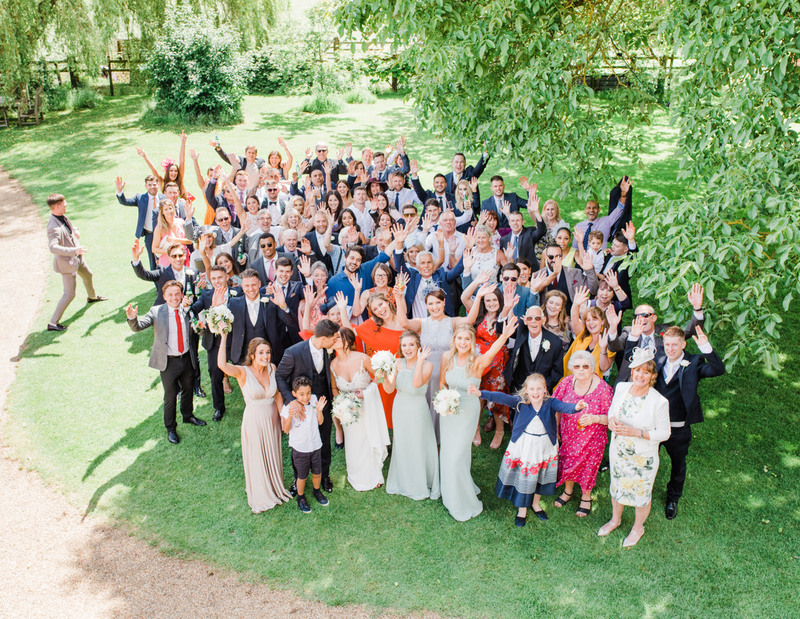 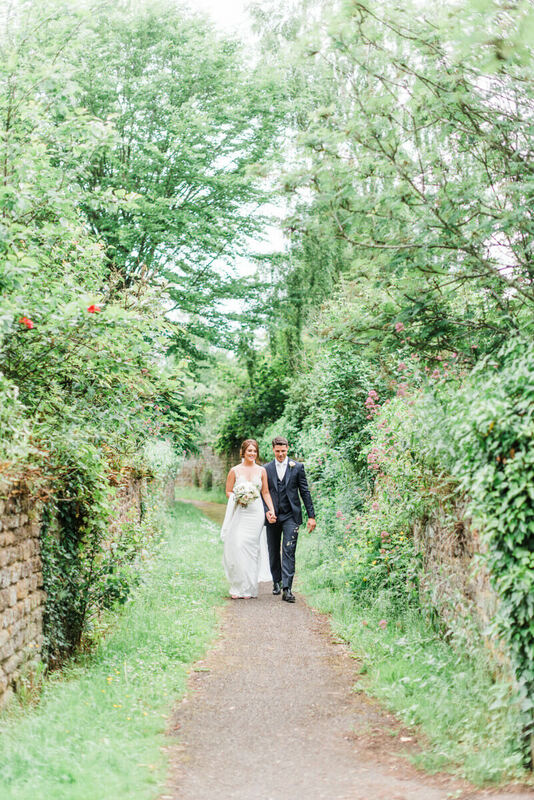 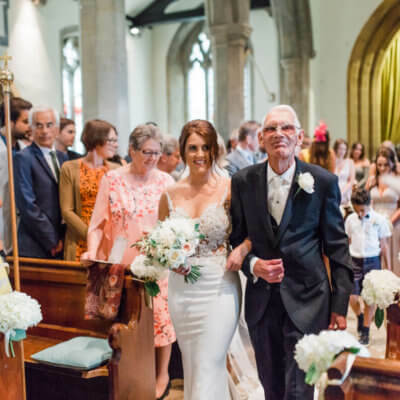 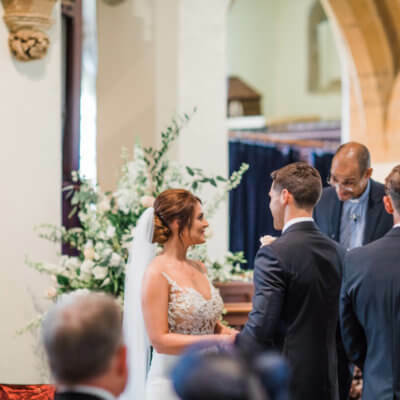 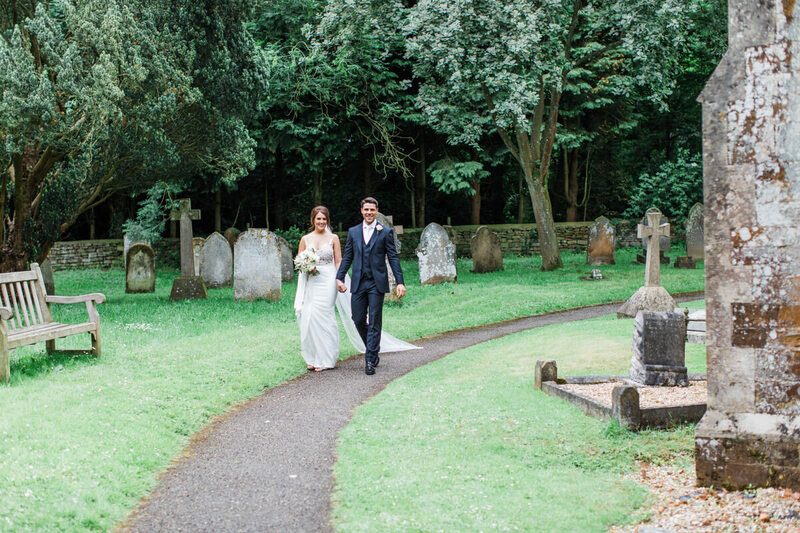 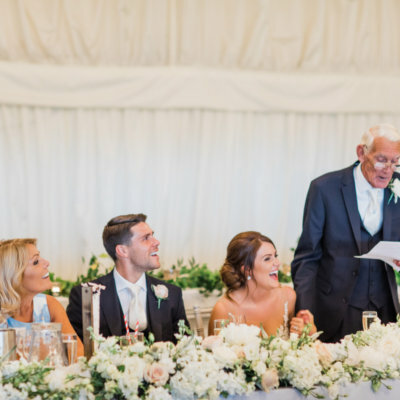 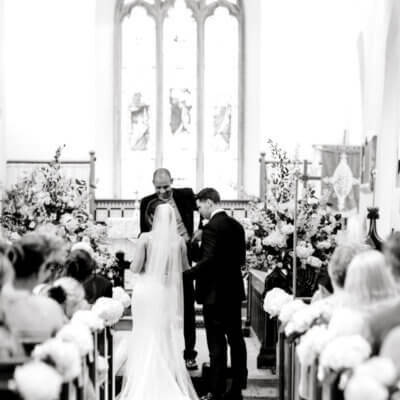 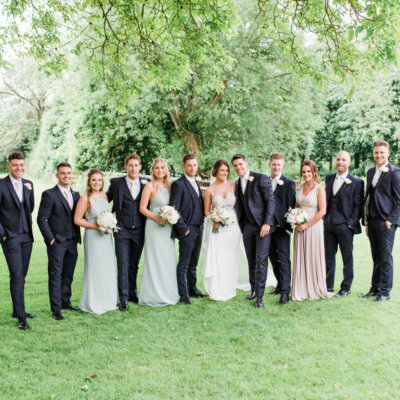 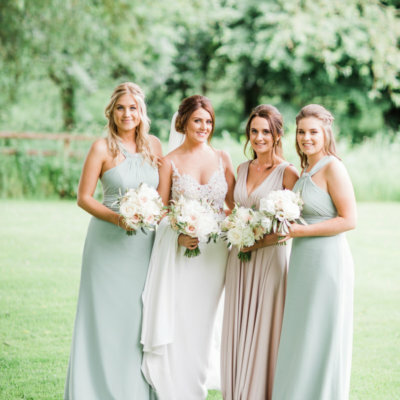 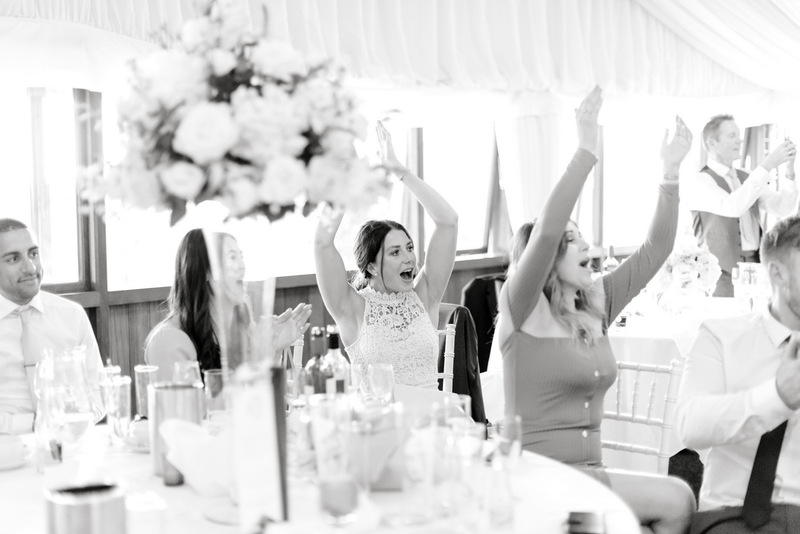 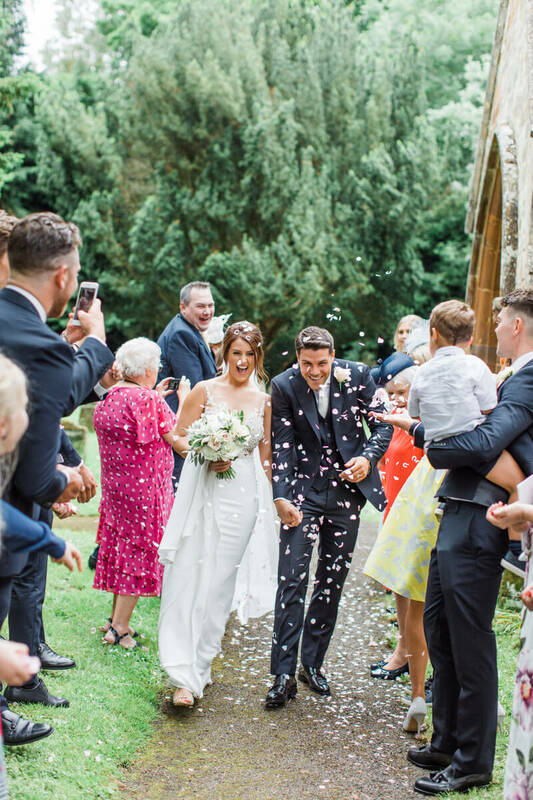 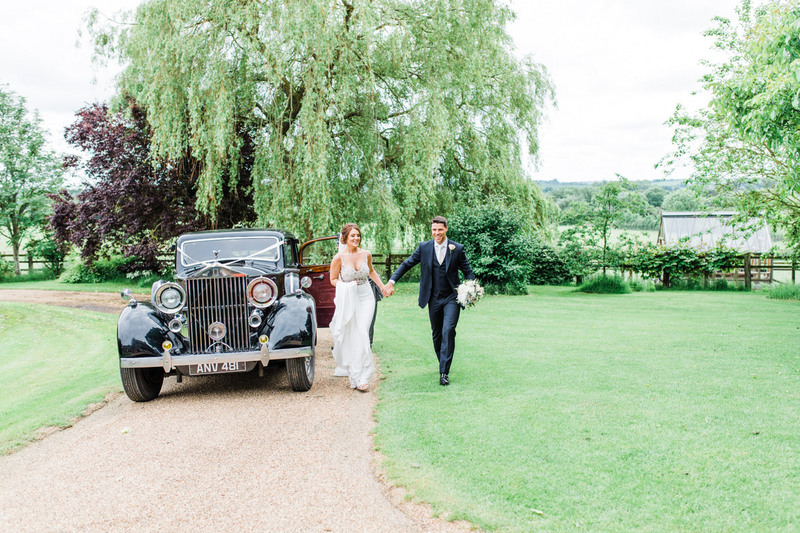 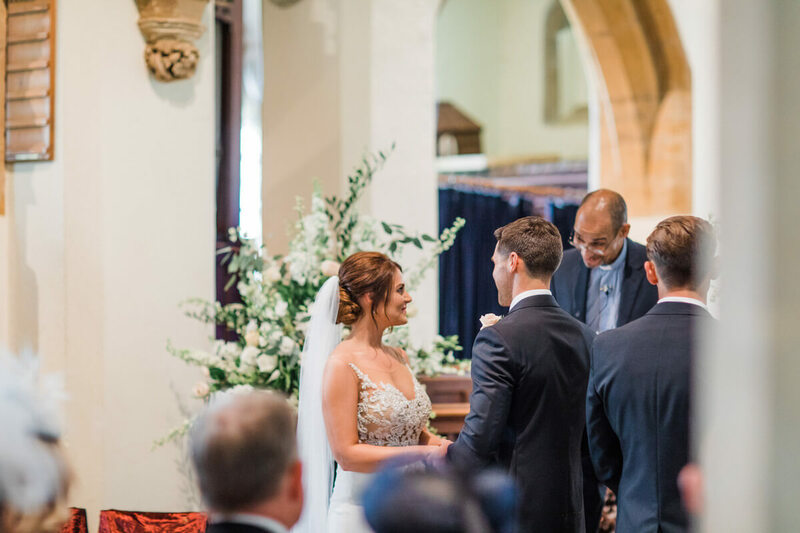 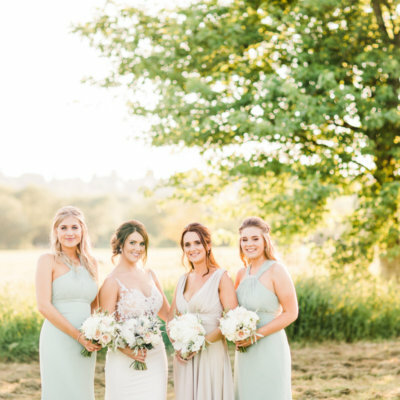 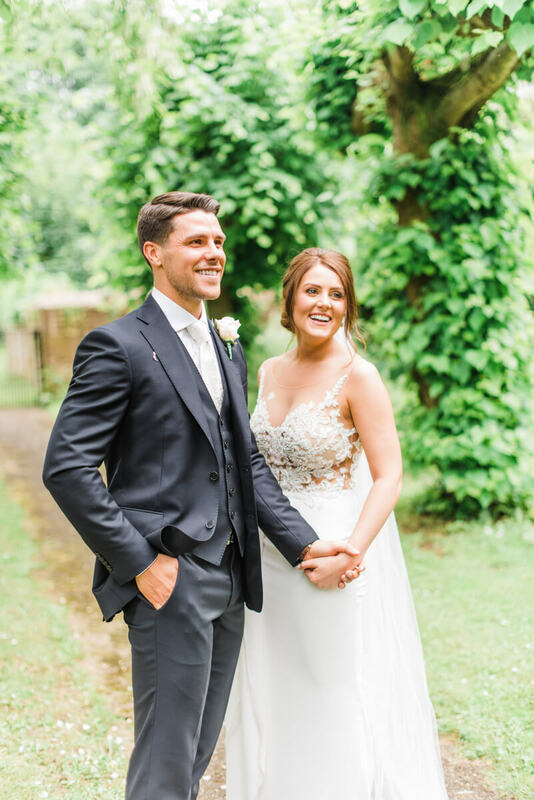 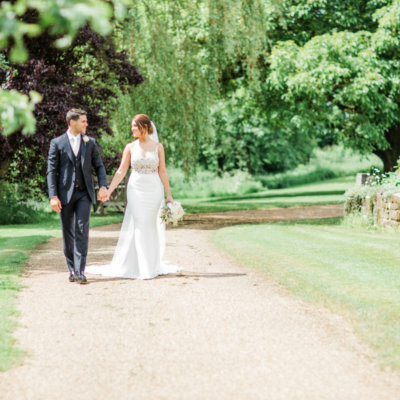 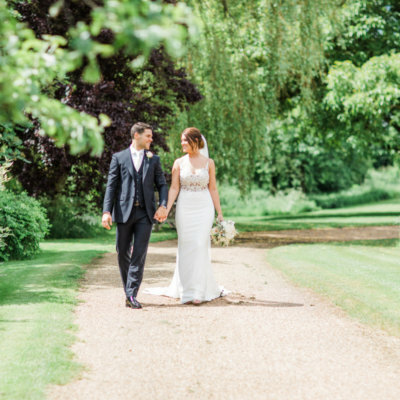 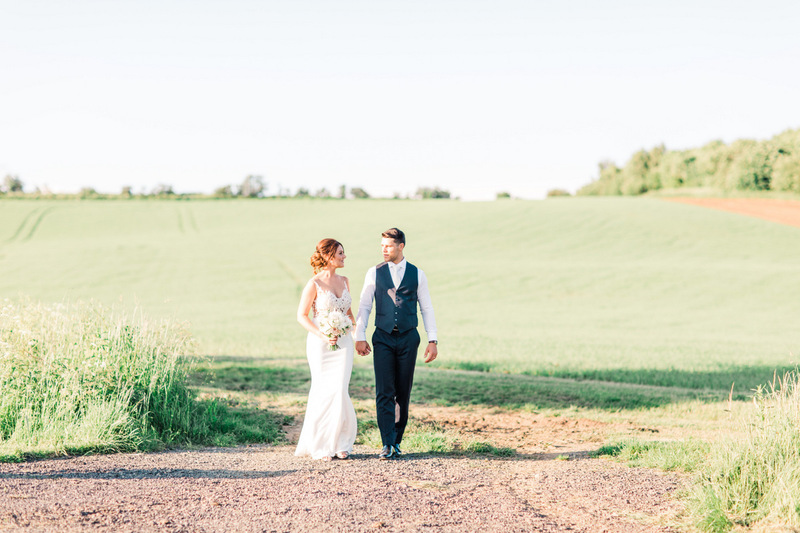 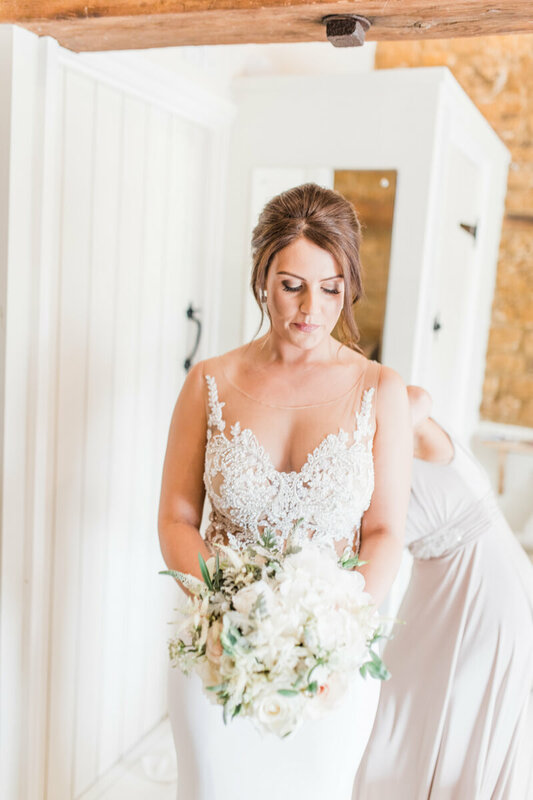 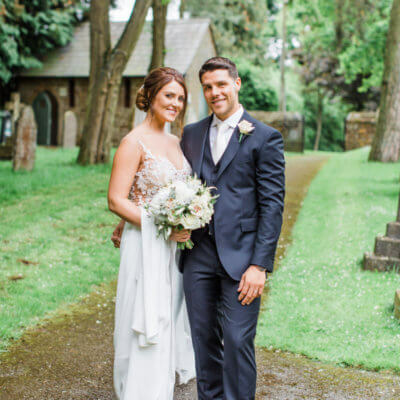 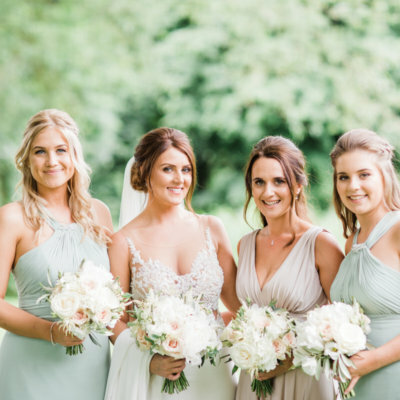 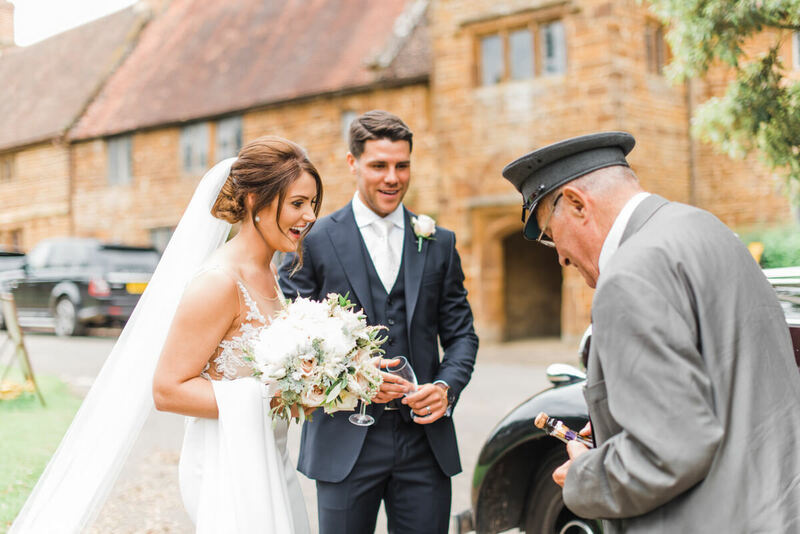 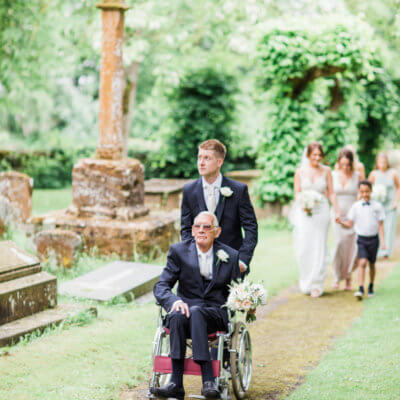 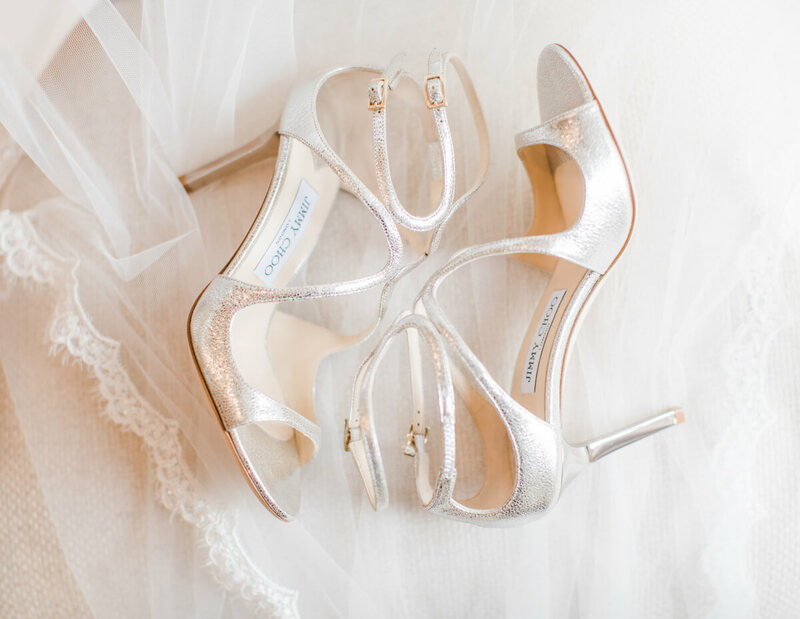 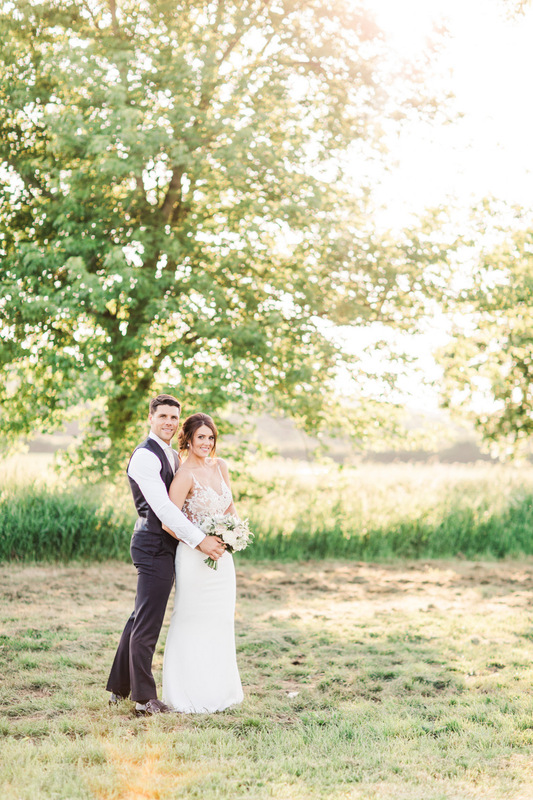 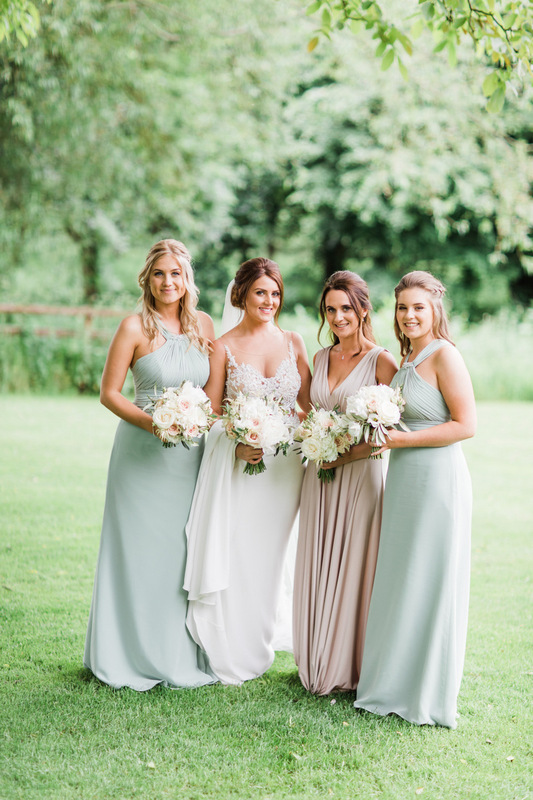 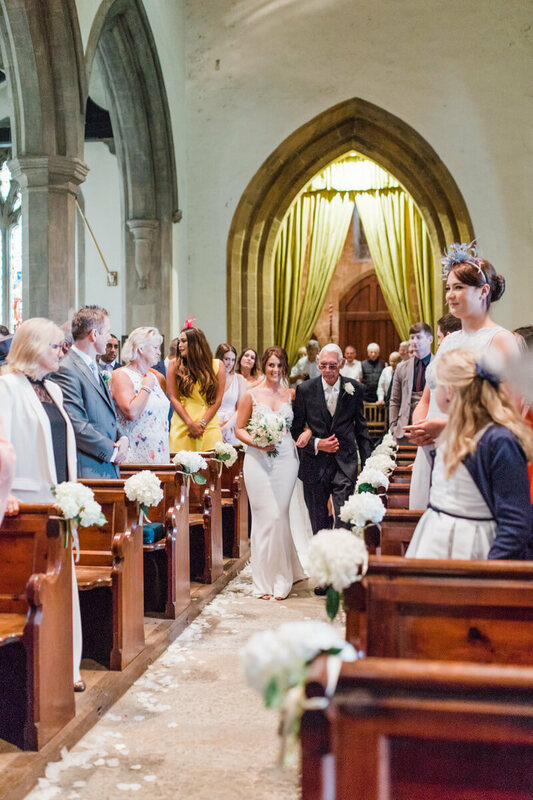 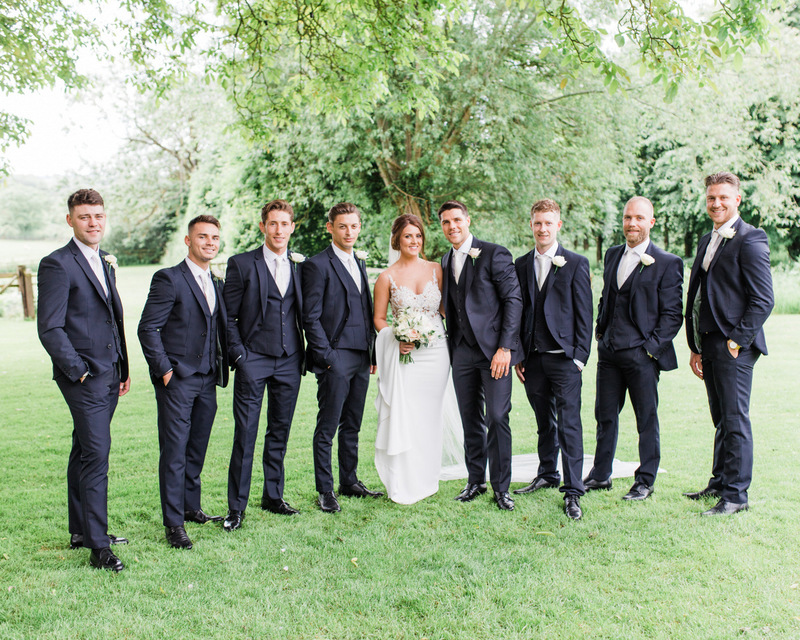 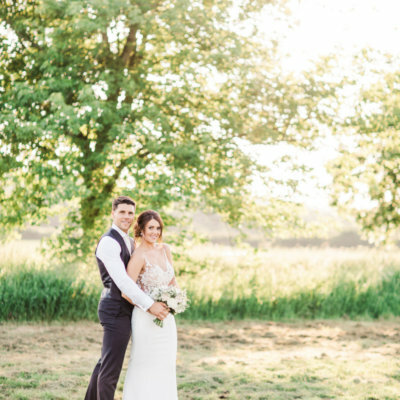 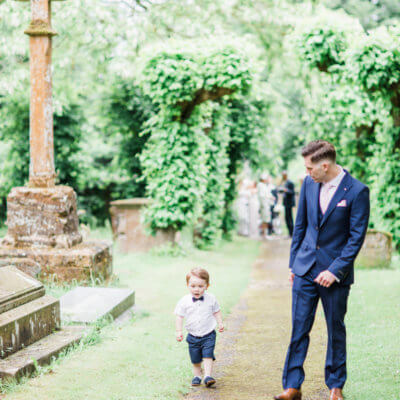 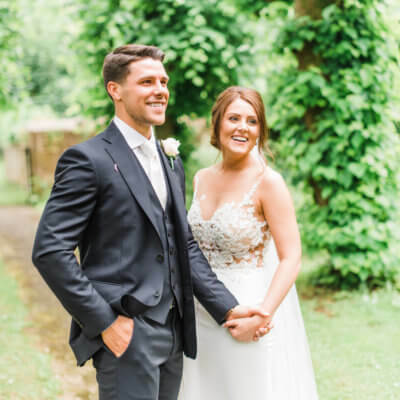 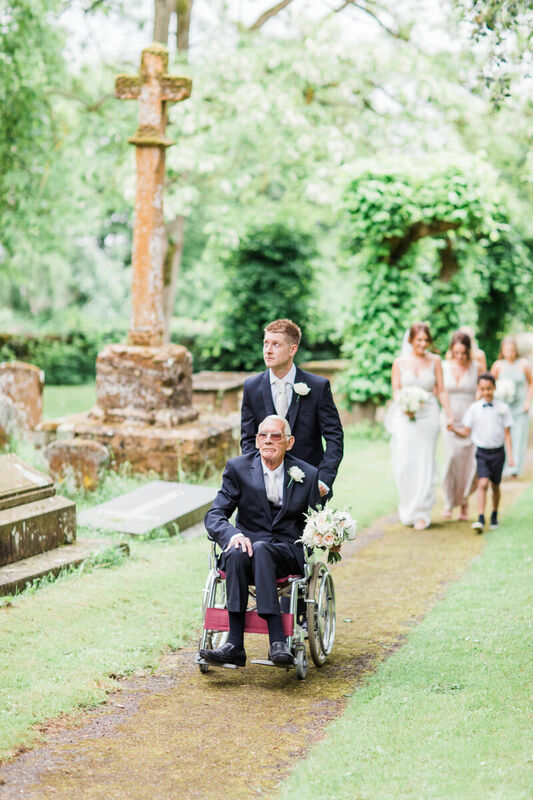 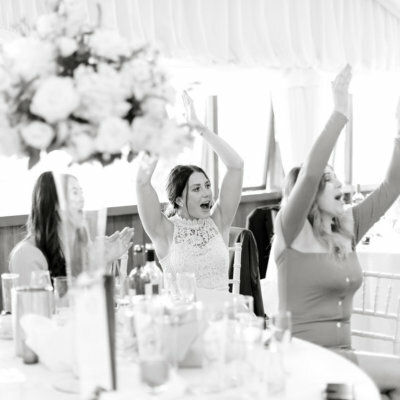 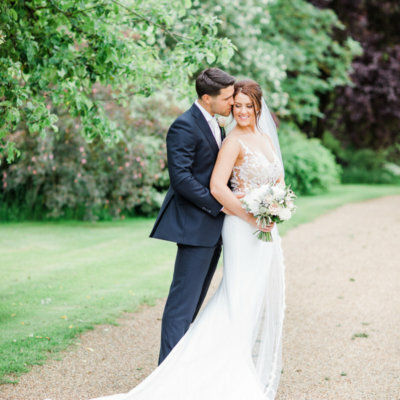 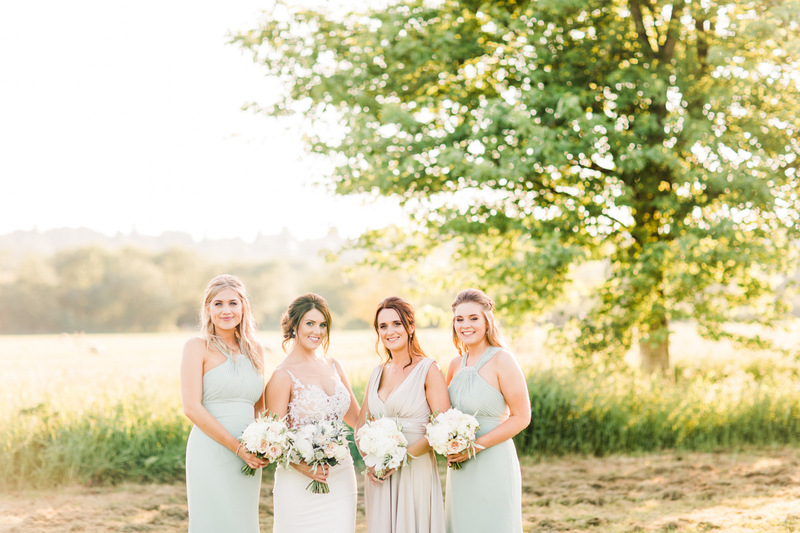 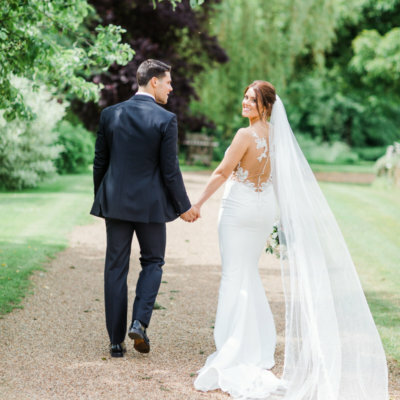 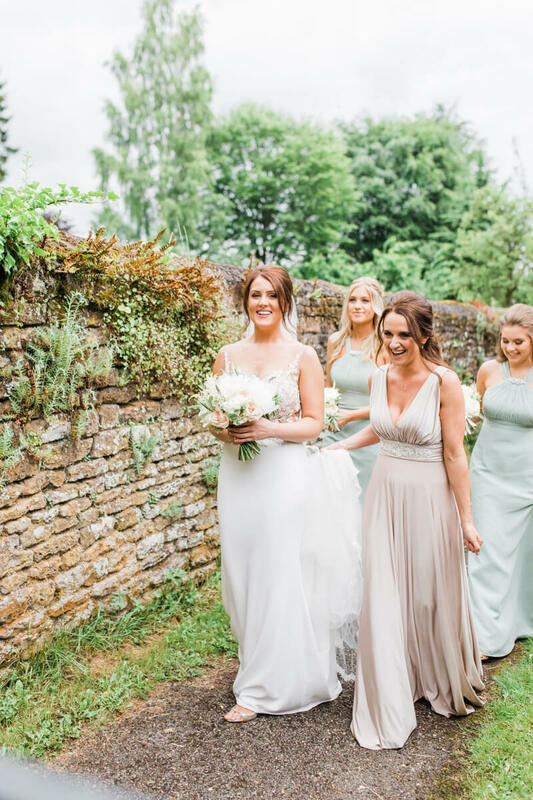 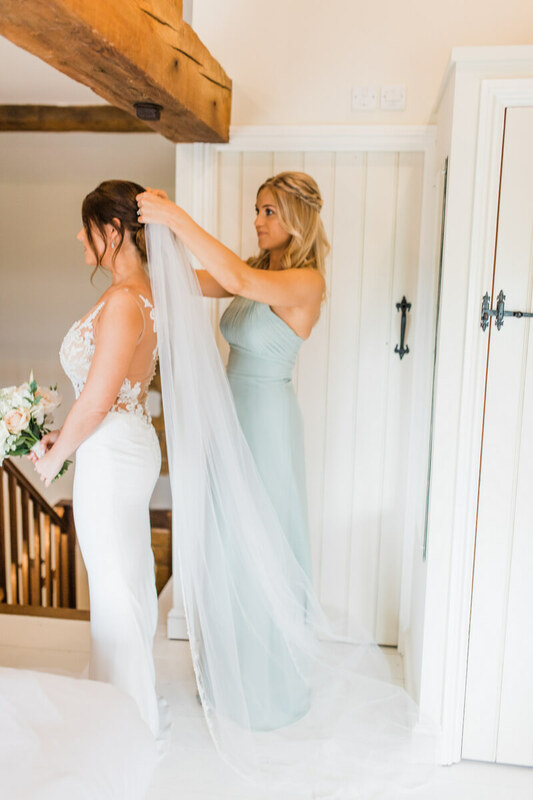 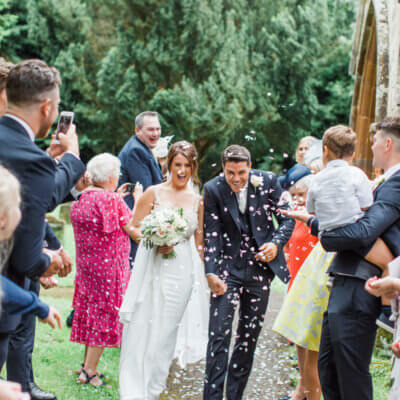 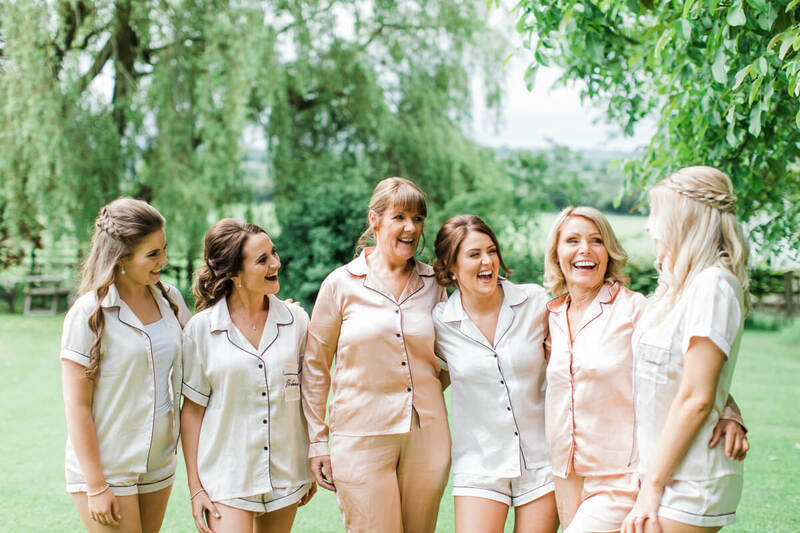 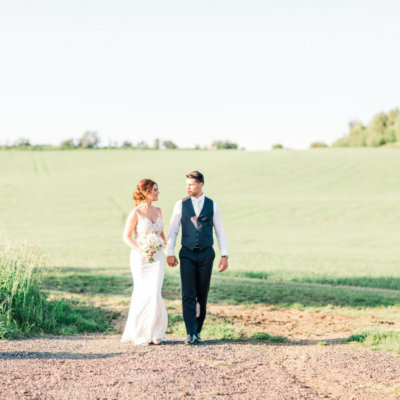 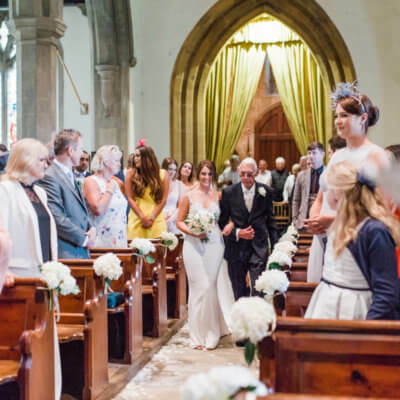 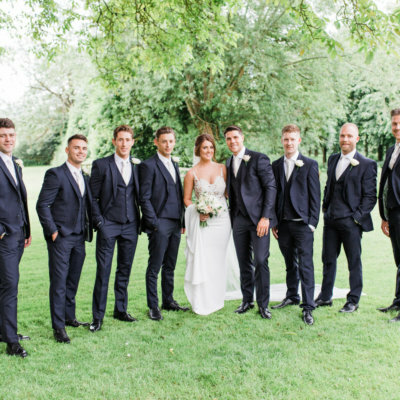 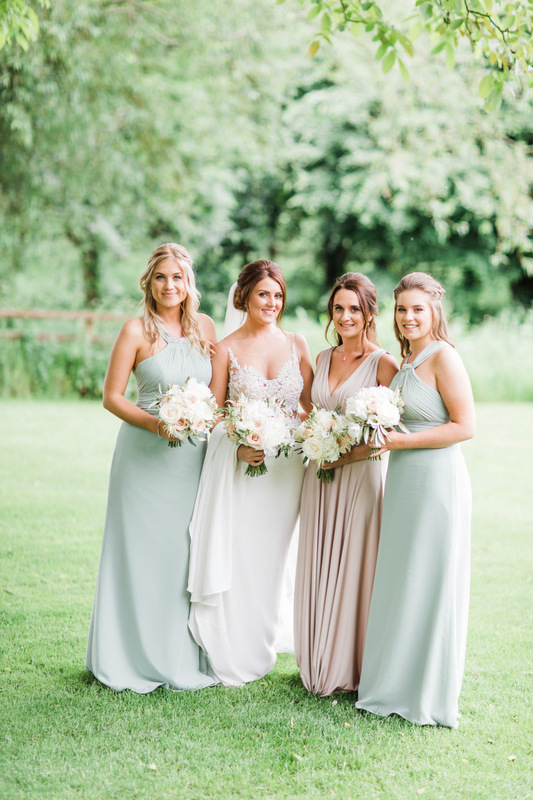 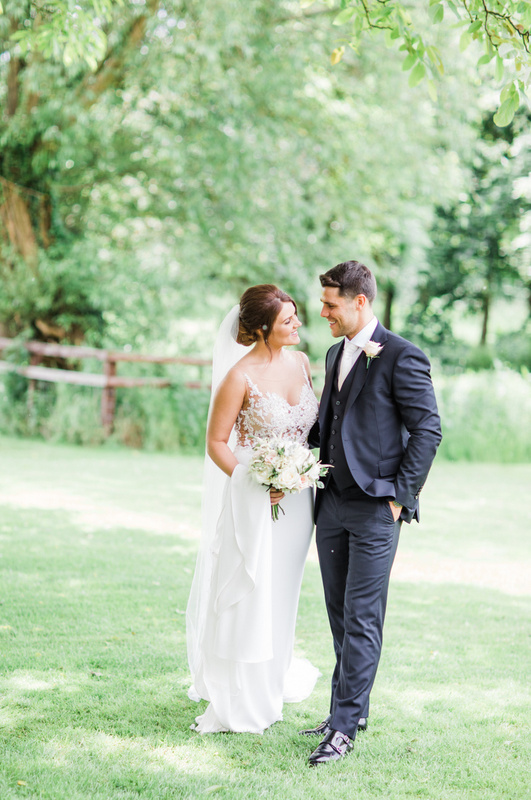 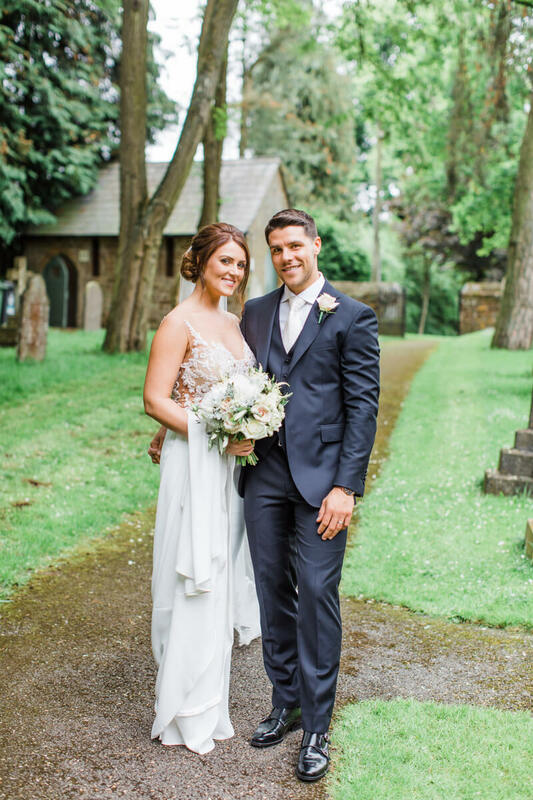 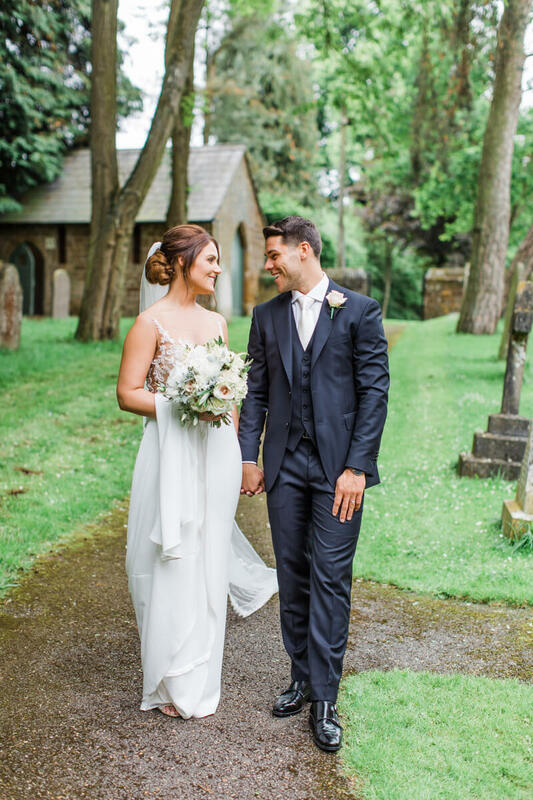 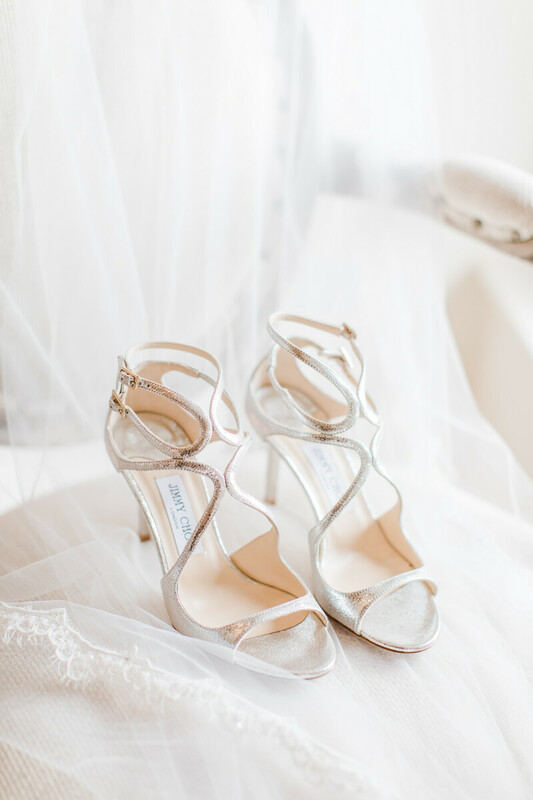 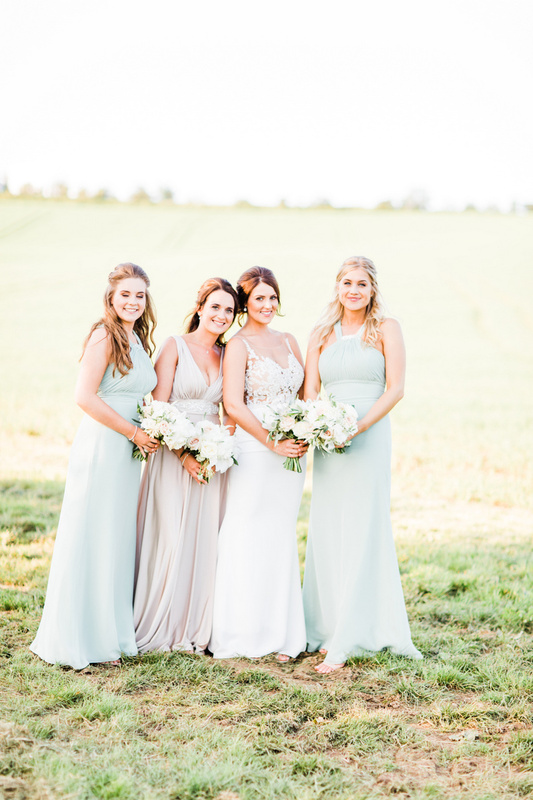 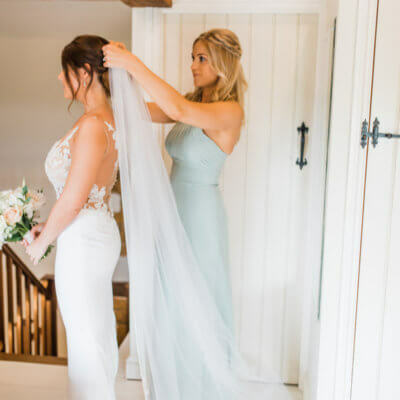 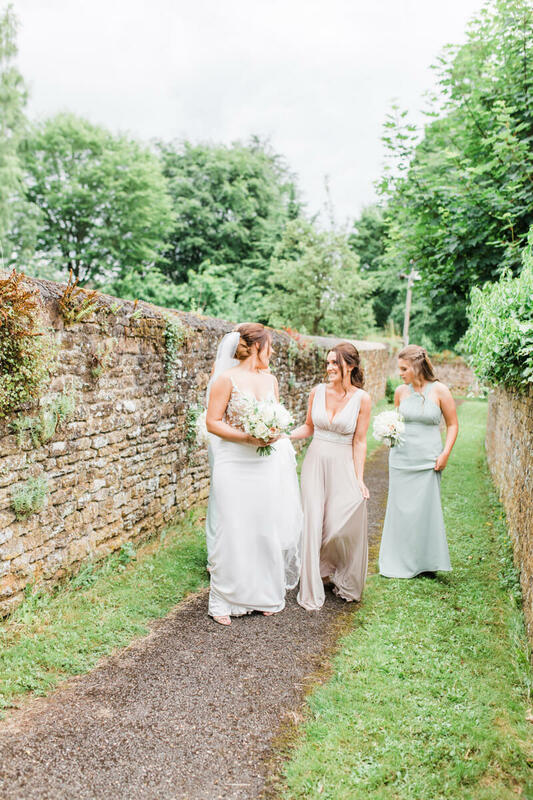 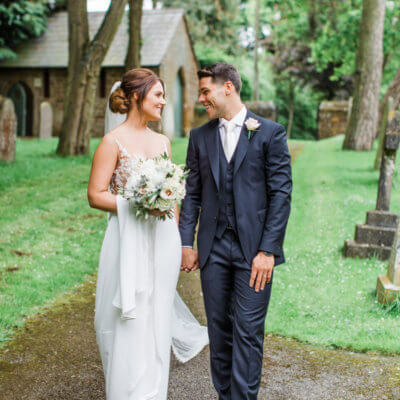 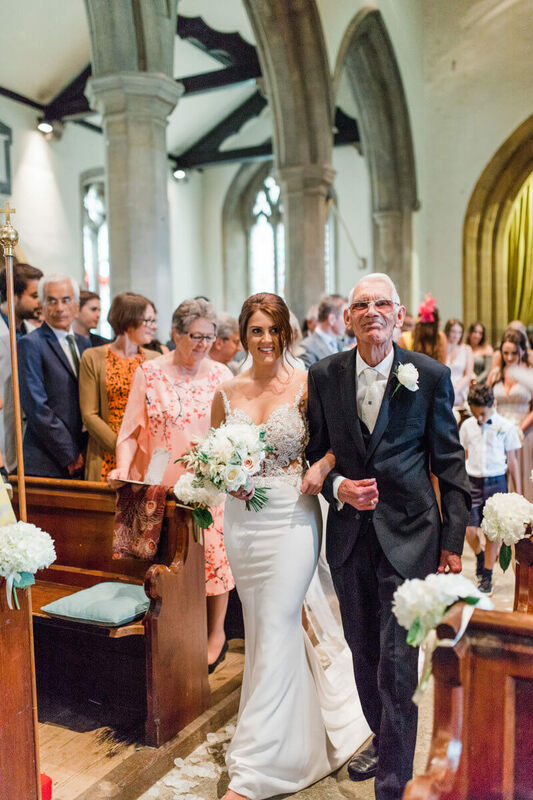 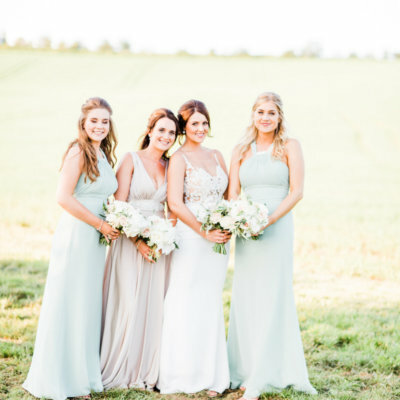 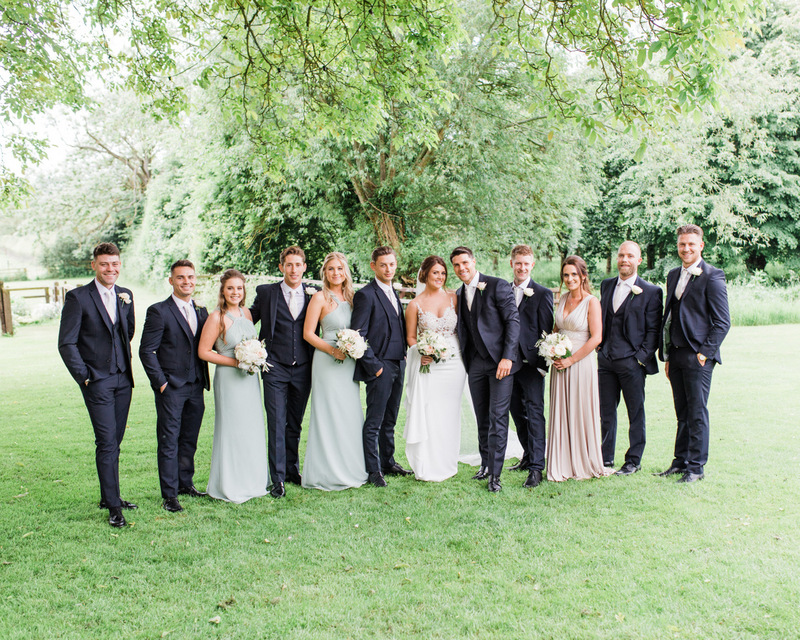 Beccy was helped into her stunning Enzoani designed dress from Silver Sixpence by her bridesmaids in the honeymoon cottage before making the short journey to church accompanied by her grandfather. 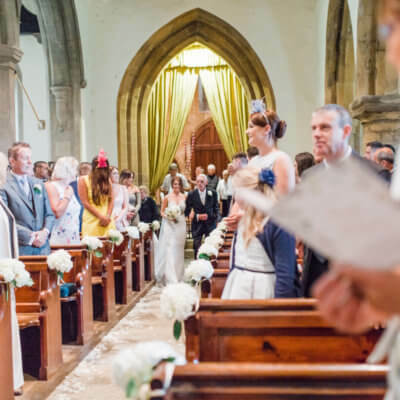 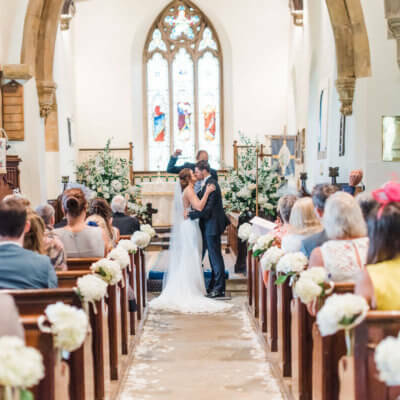 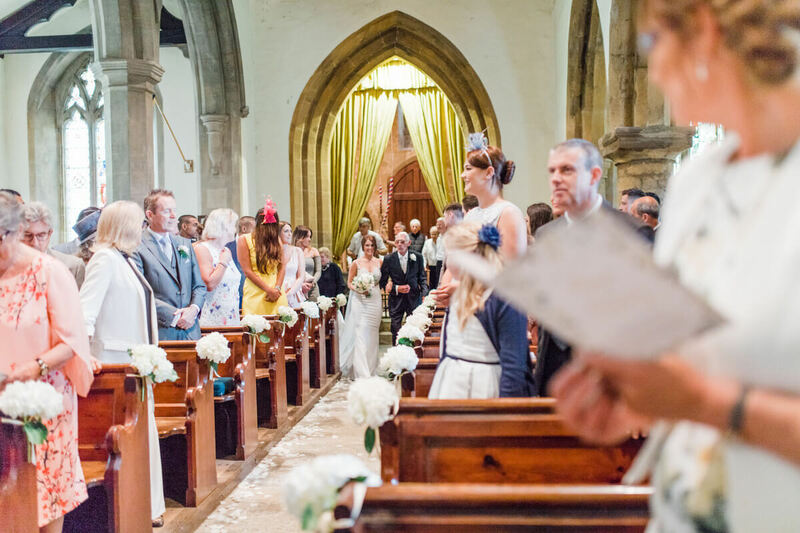 The ceremony took place at St Nicholas’ Church in the picturesque village of Eydon, one mile from Crockwell at mid-day. 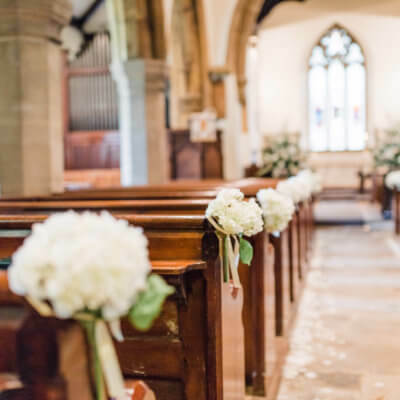 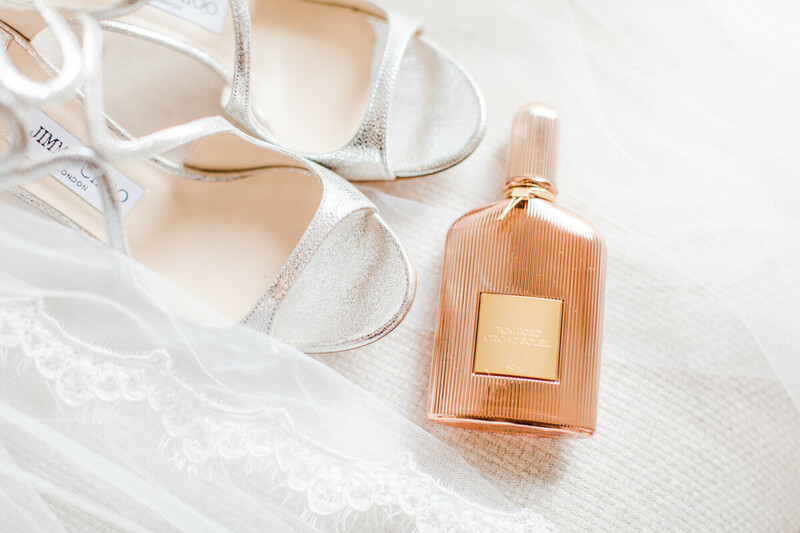 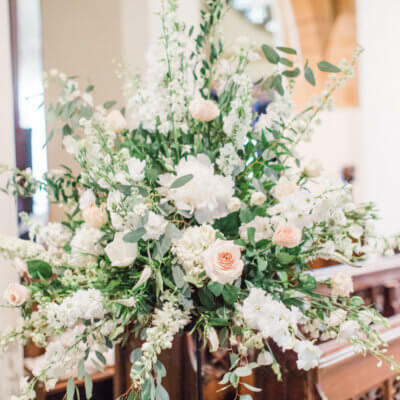 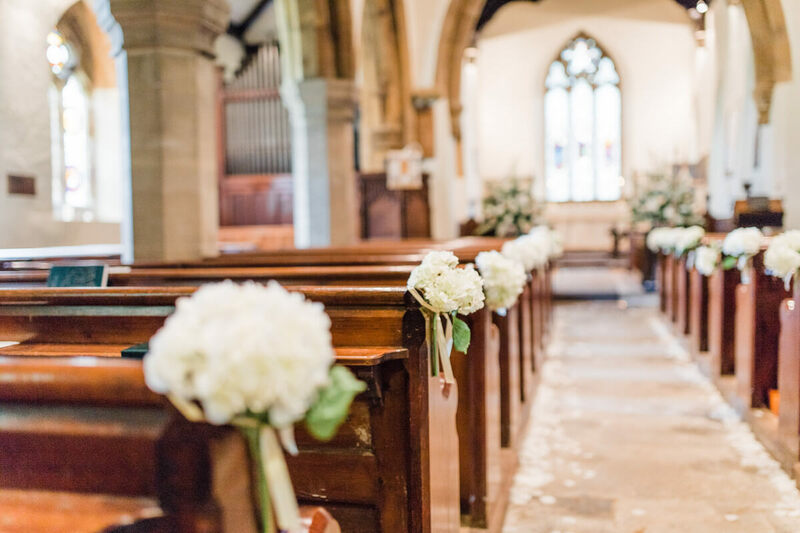 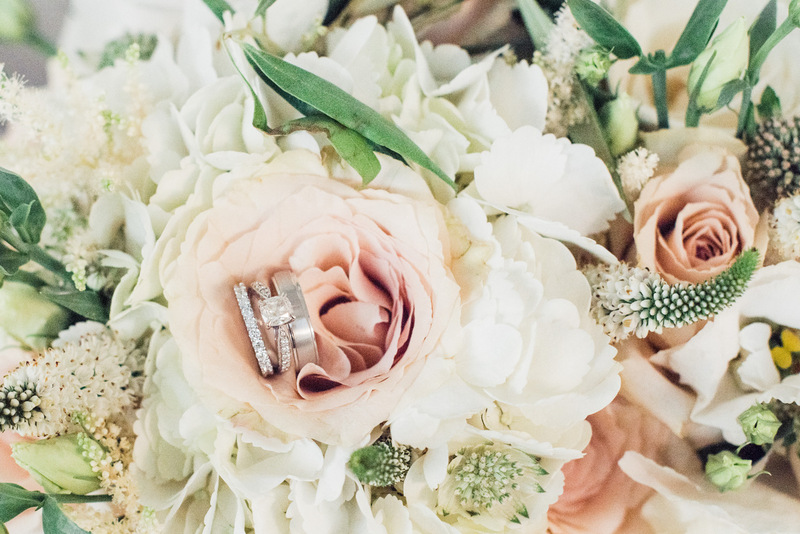 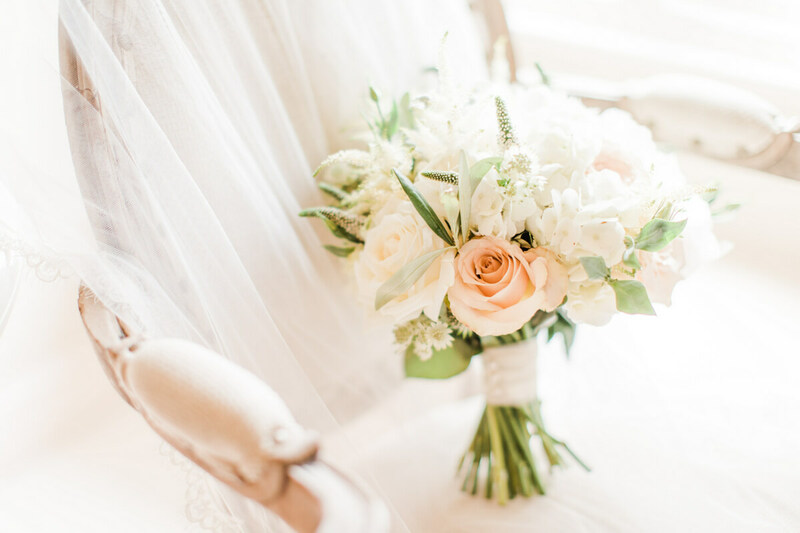 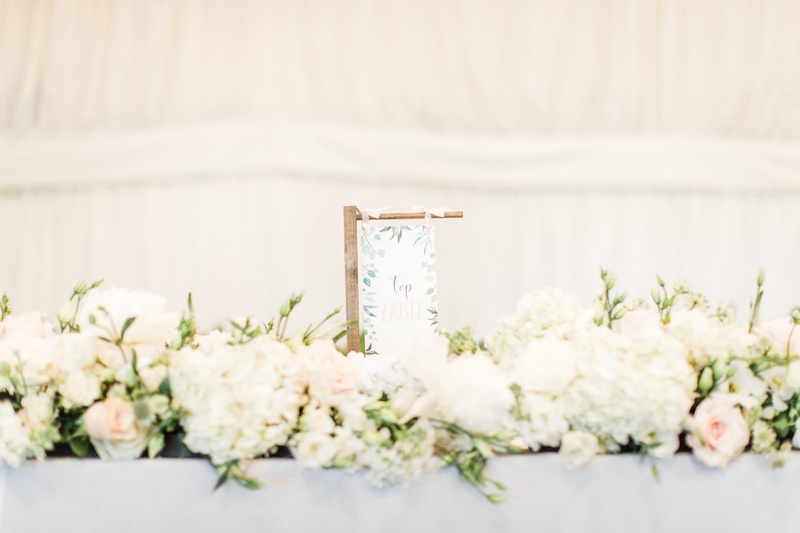 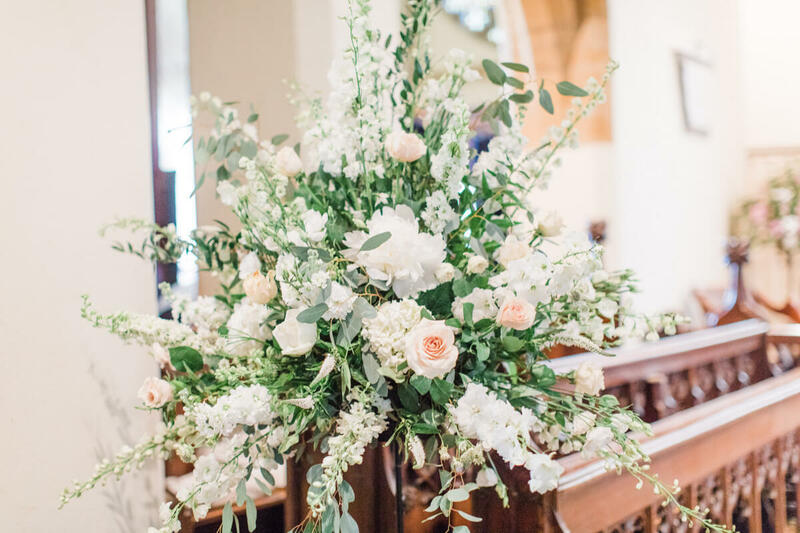 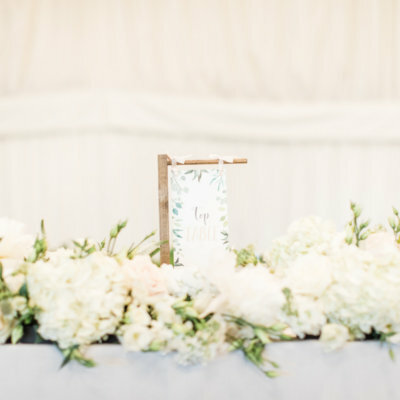 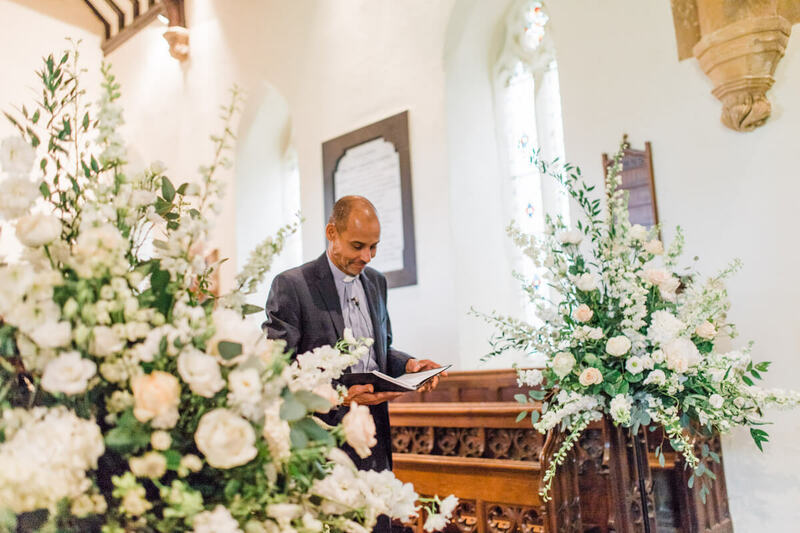 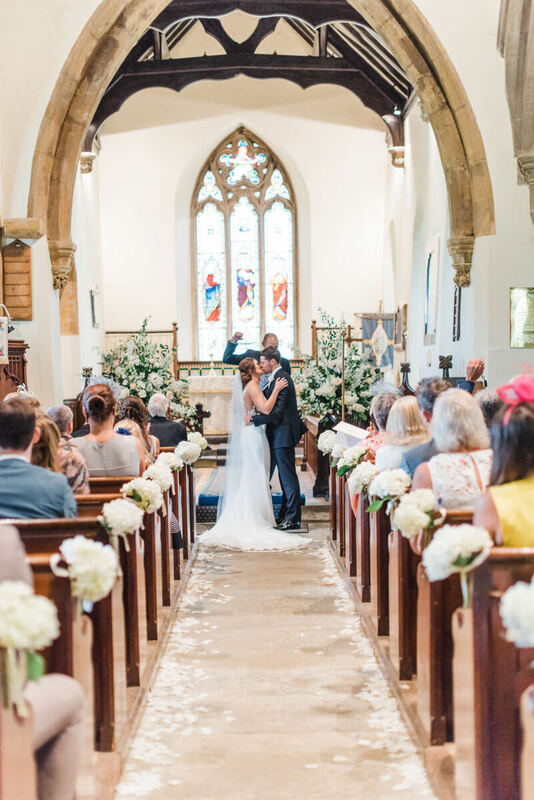 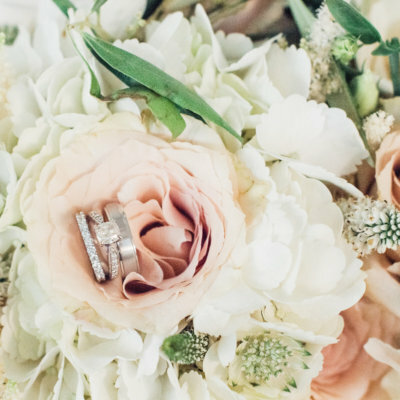 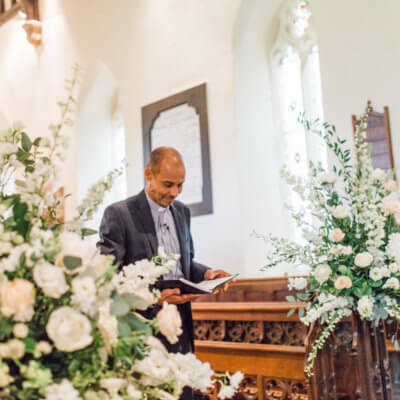 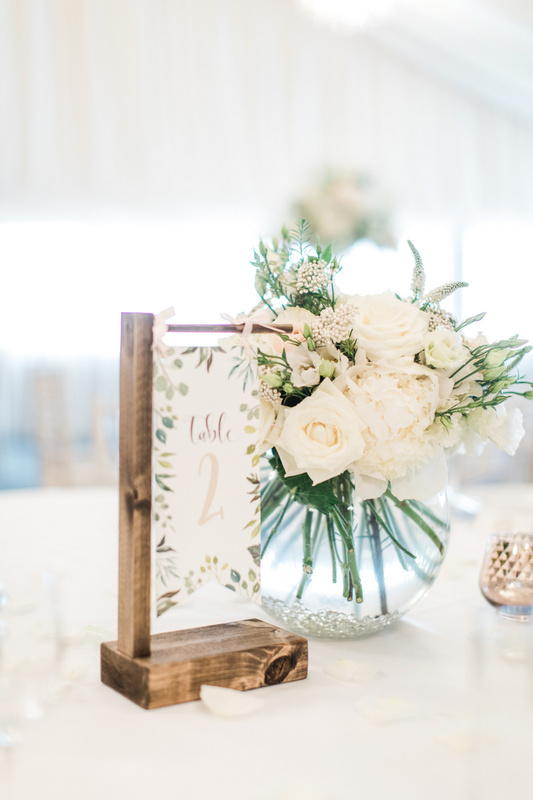 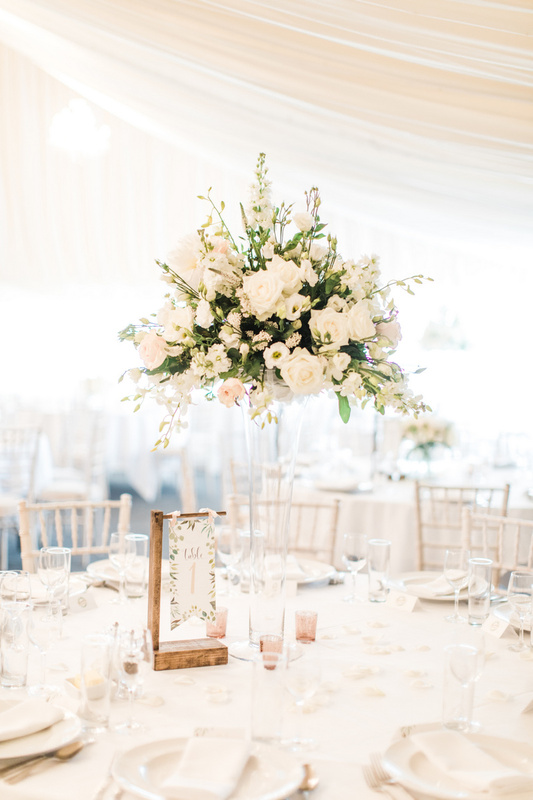 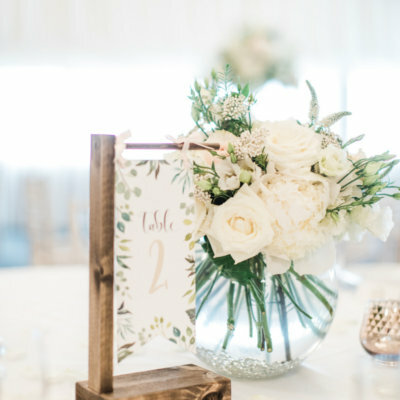 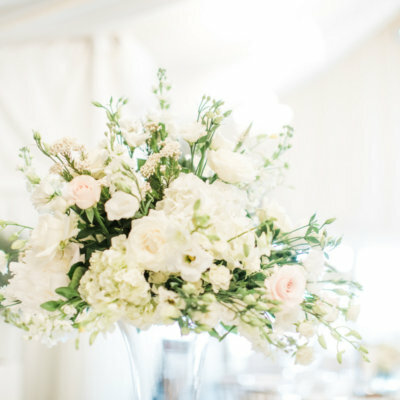 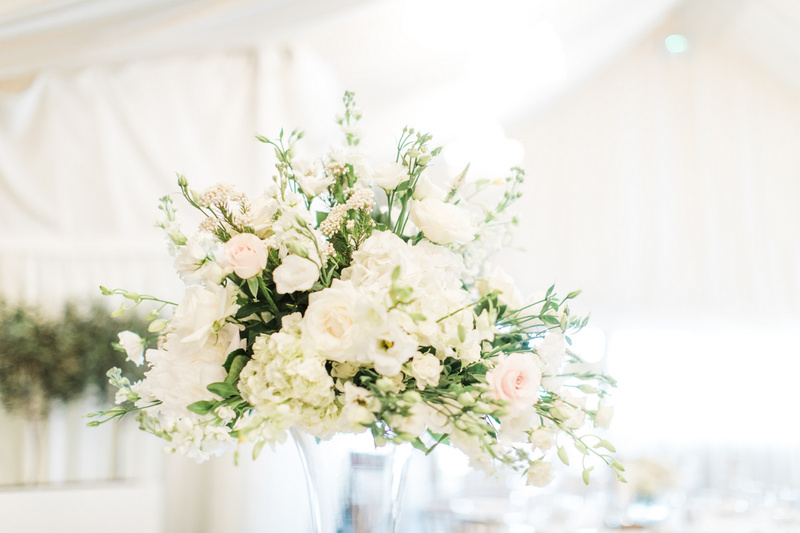 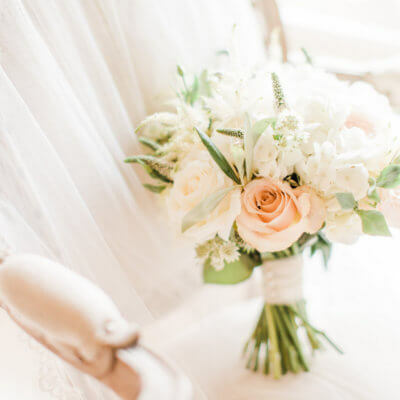 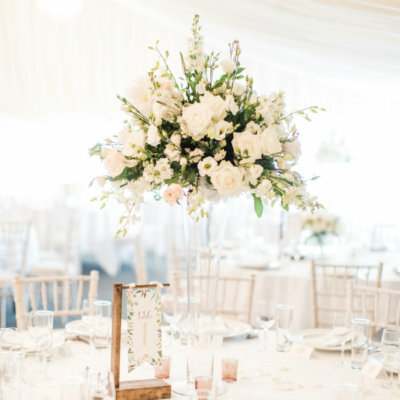 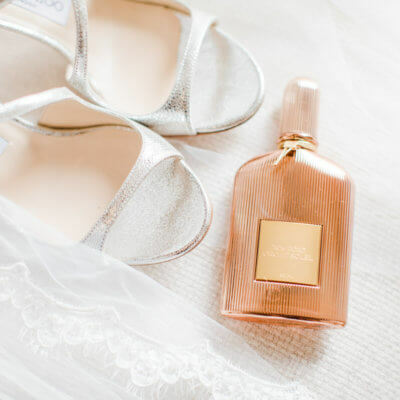 Inside the church was lavished in elegant flower arrangements with shades of pale pink, cream and greenery by Claire from Hibiscus Floral Design. 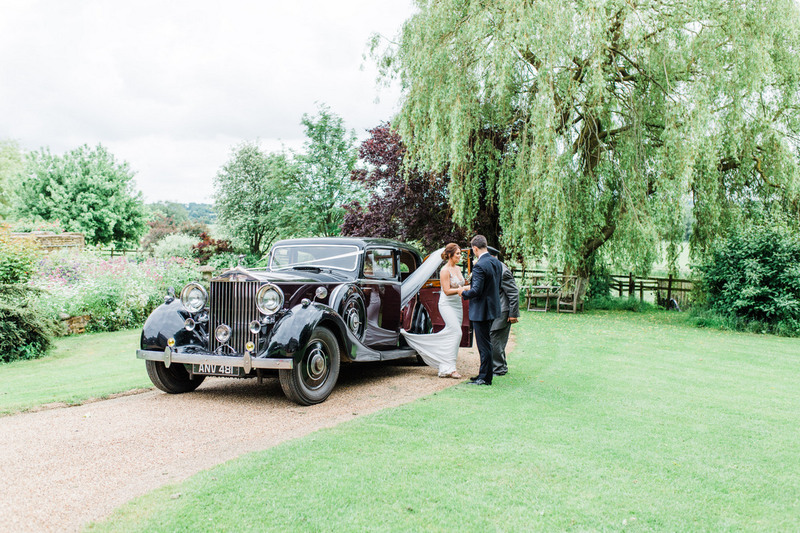 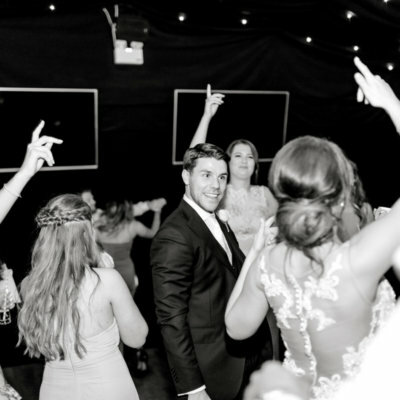 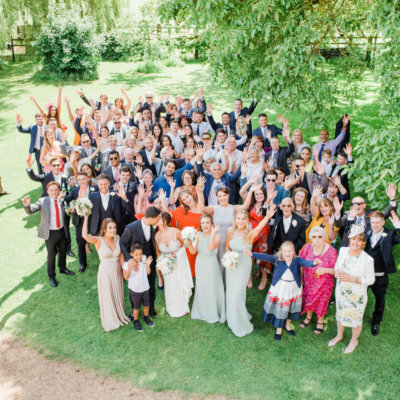 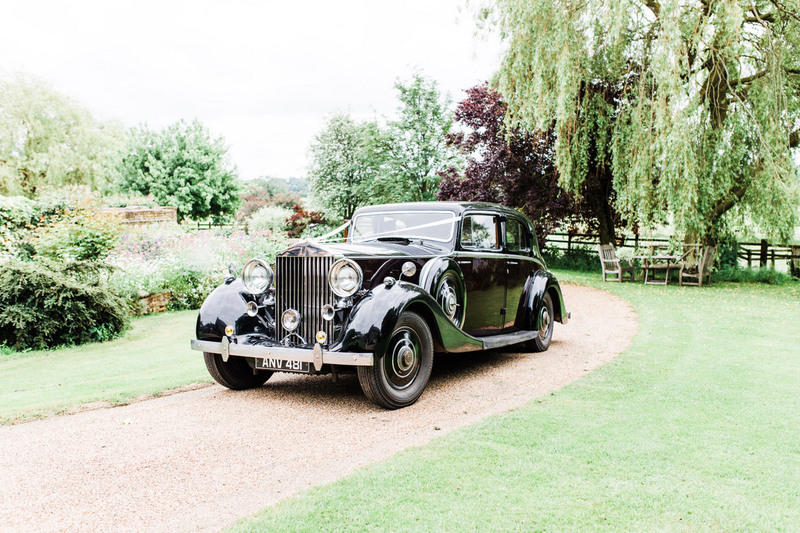 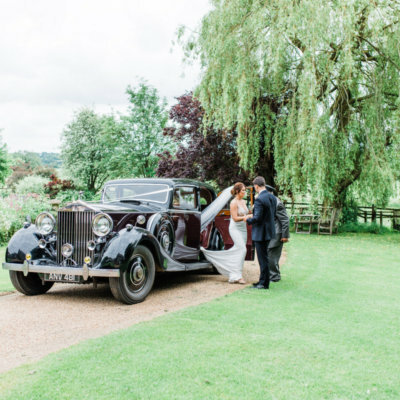 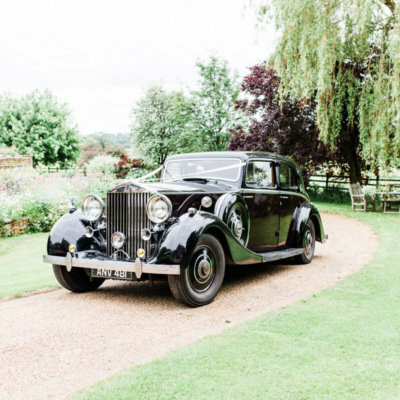 Following confetti photographs outside the pretty church, guests were invited to enjoy drinks & canapés back at Crockwell as the happy couple arrived in a stunning Vintage Rolls Royce supplied by Trevor from Park Lane Carriages. 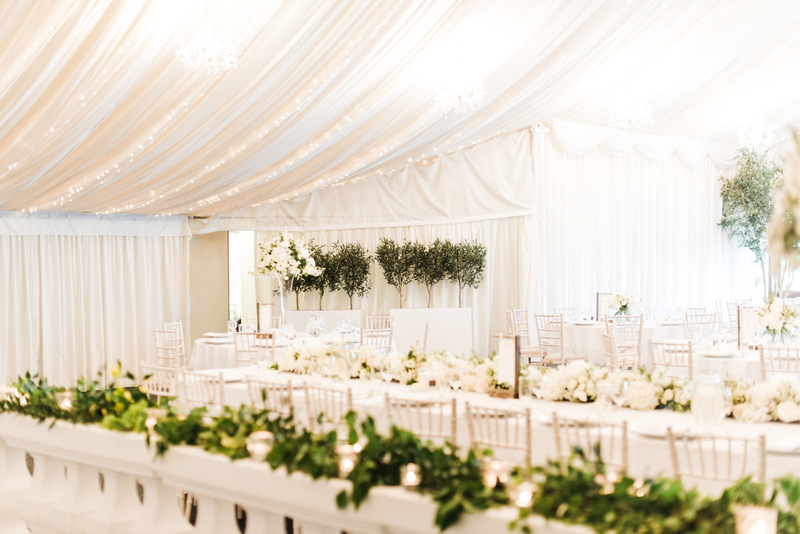 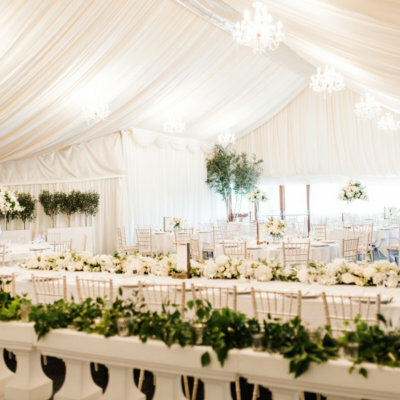 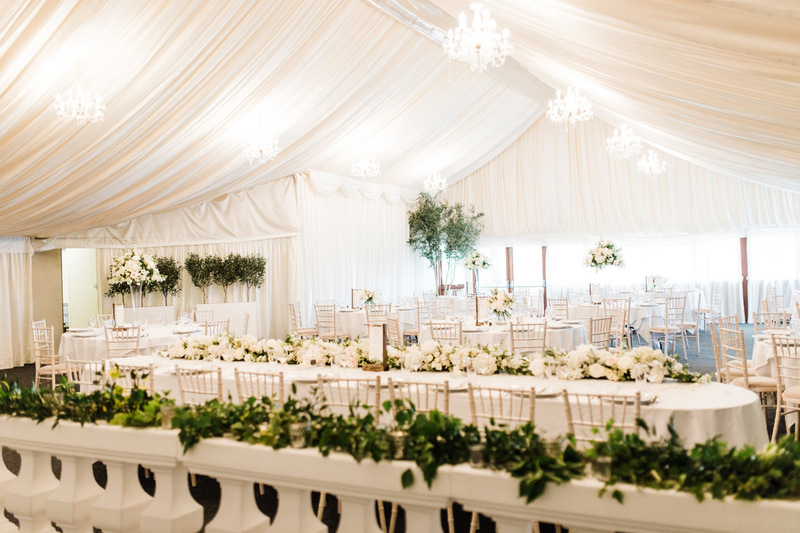 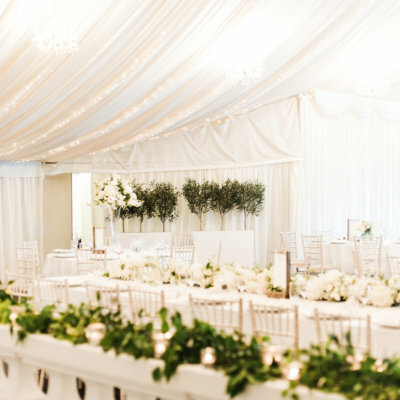 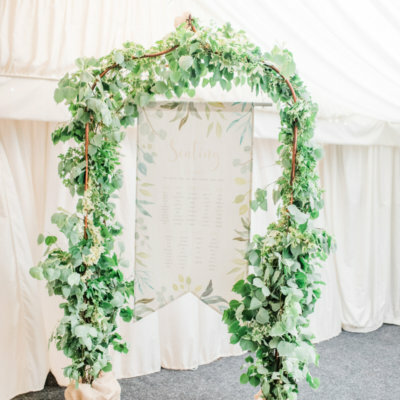 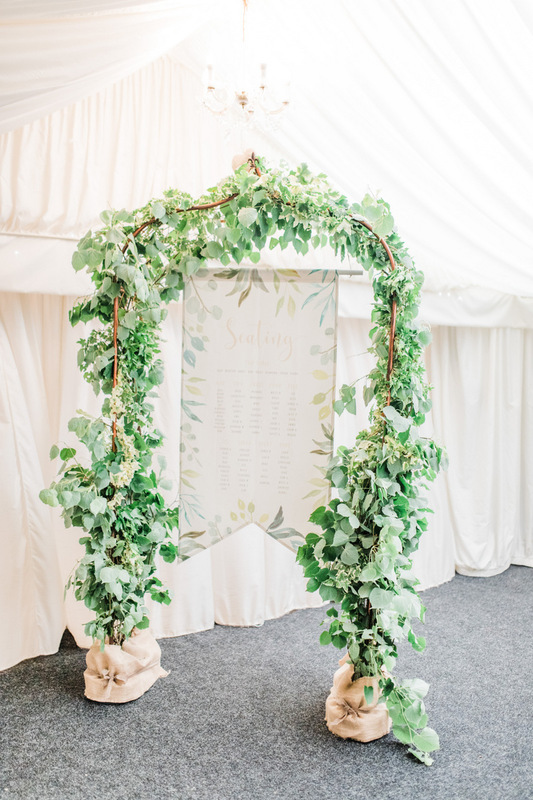 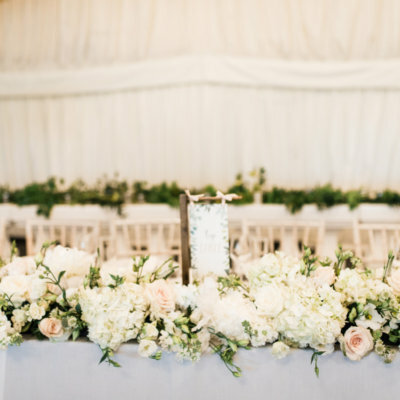 The marquee looked beautiful decked out with more flowers from Claire as well as personalised stationary from White Cottage Weddings and an archway adorned with greenery from Decorations From Laura. 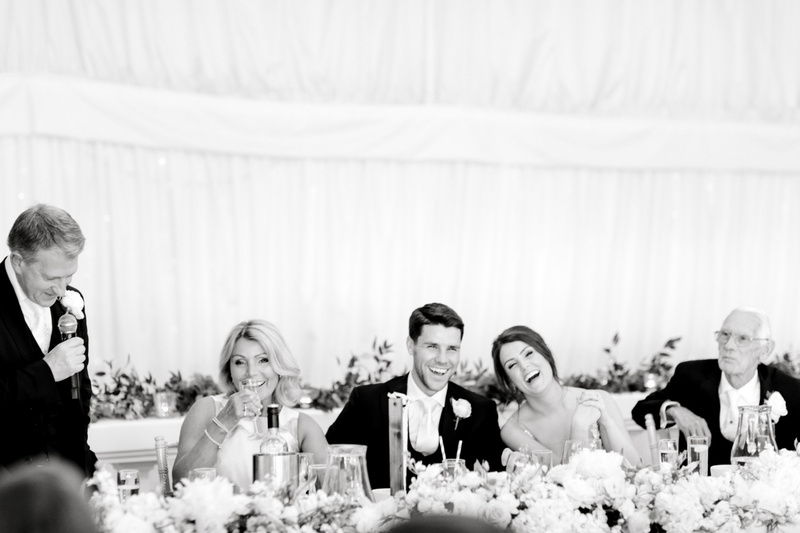 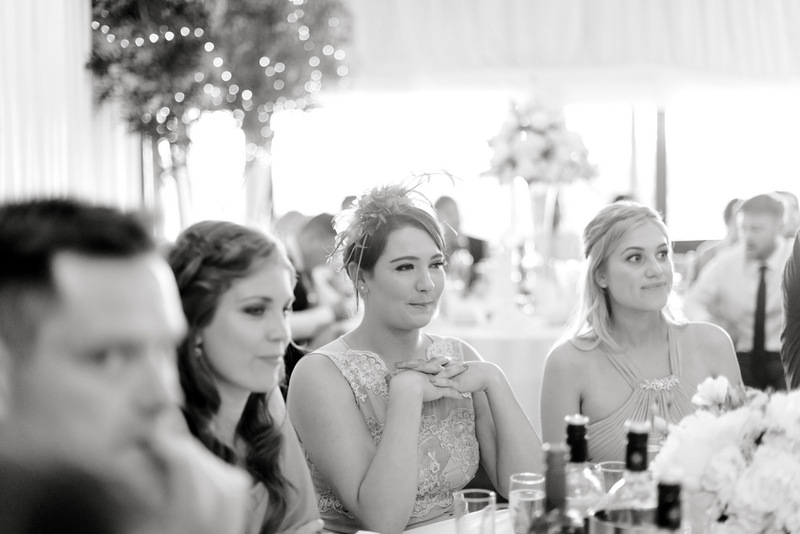 The wedding breakfast was served at 3.15 followed by bubbles and giggles as the speeches and toasts were given. 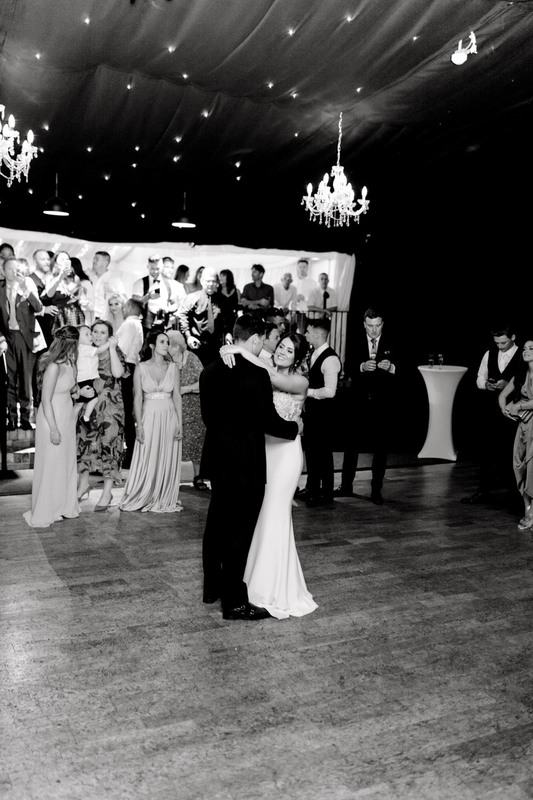 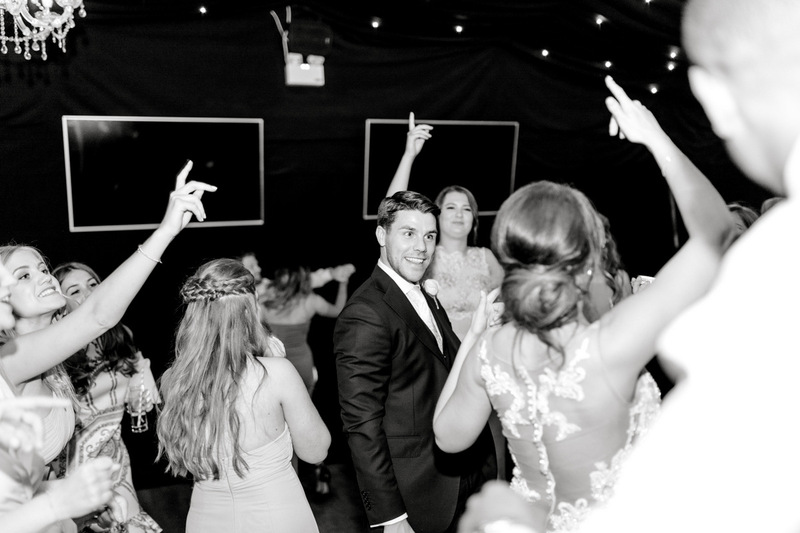 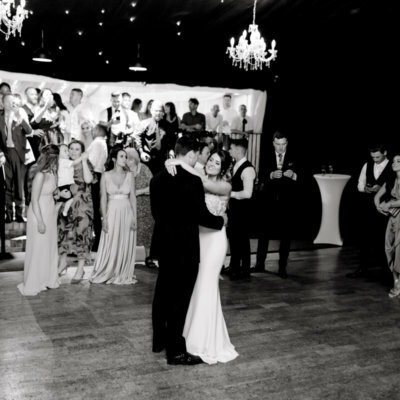 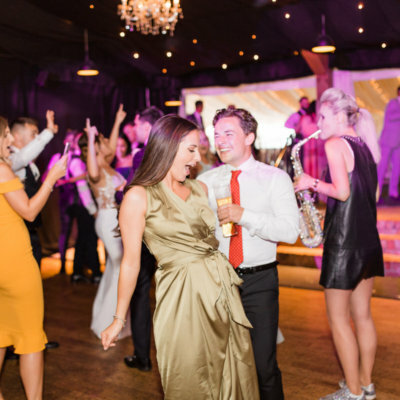 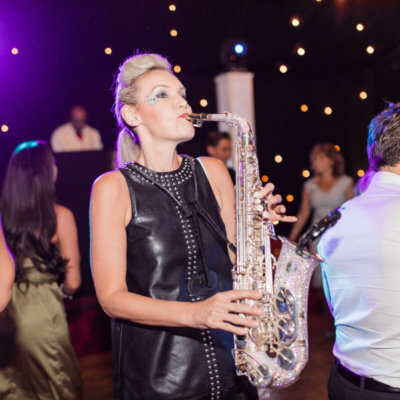 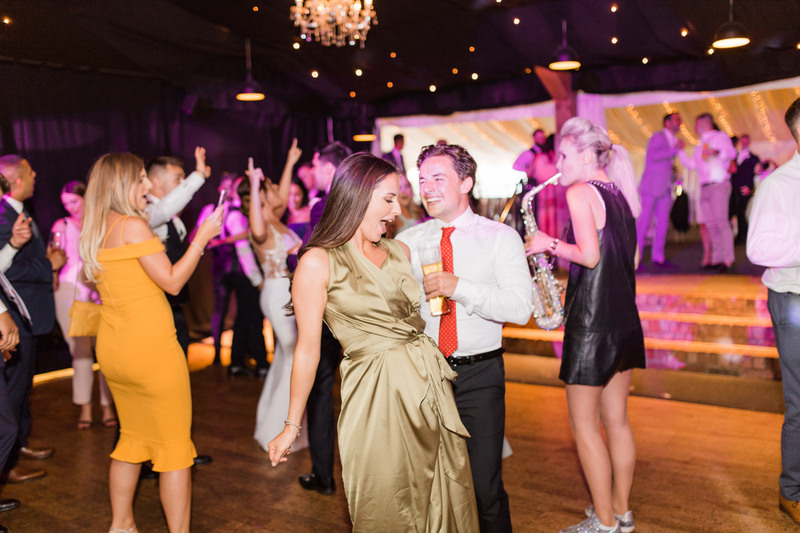 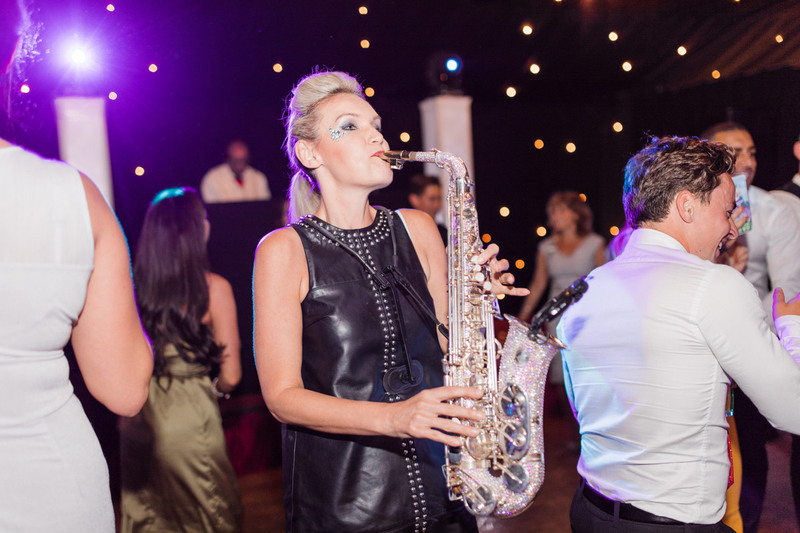 Soon the vibrant and magical buzz of Sarah’s saxophone filled the marquee as guests danced the evening away, stopping only for a hog roast from the Chopping Block. 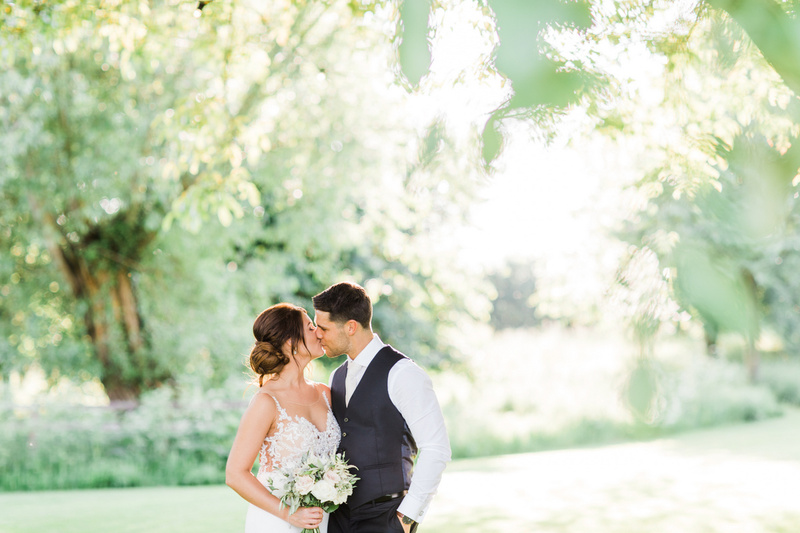 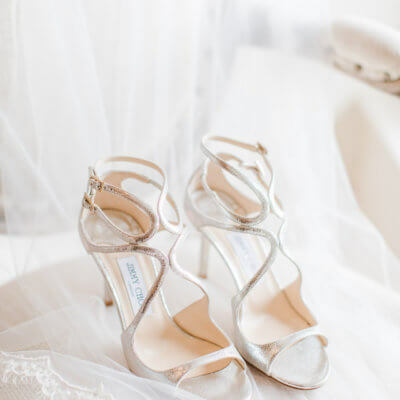 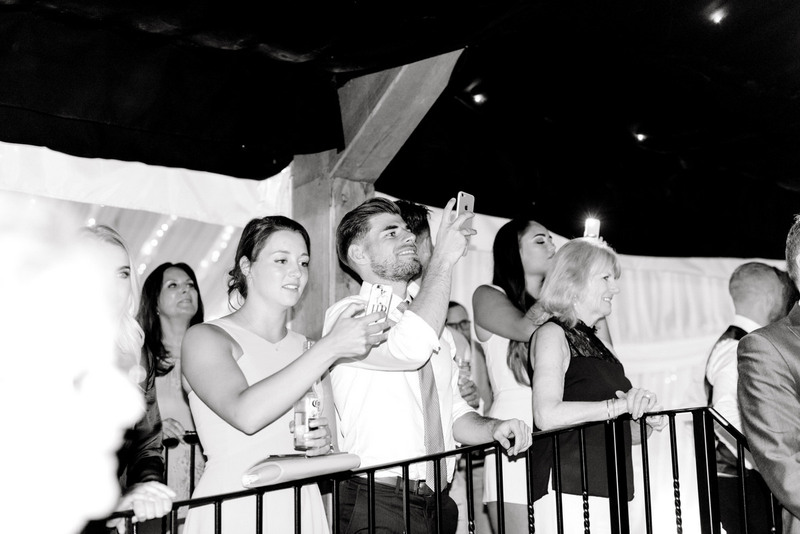 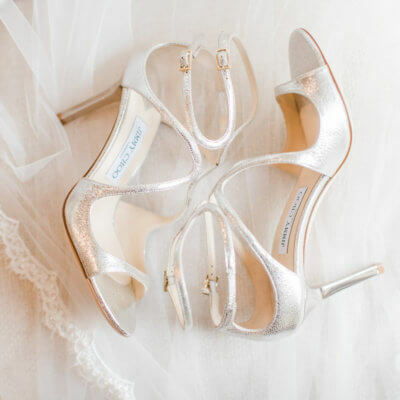 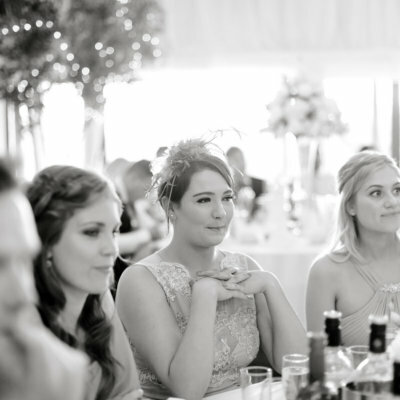 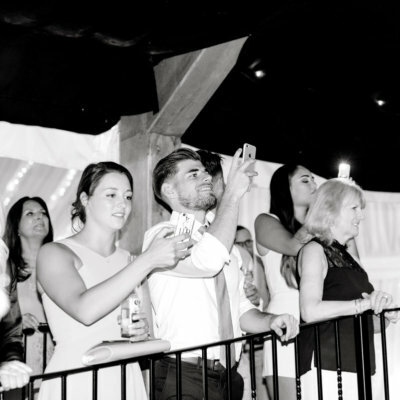 Huge thanks to Terri from Summer Lily Studio, and to the happy couple for allowing us to share these gorgeous images.